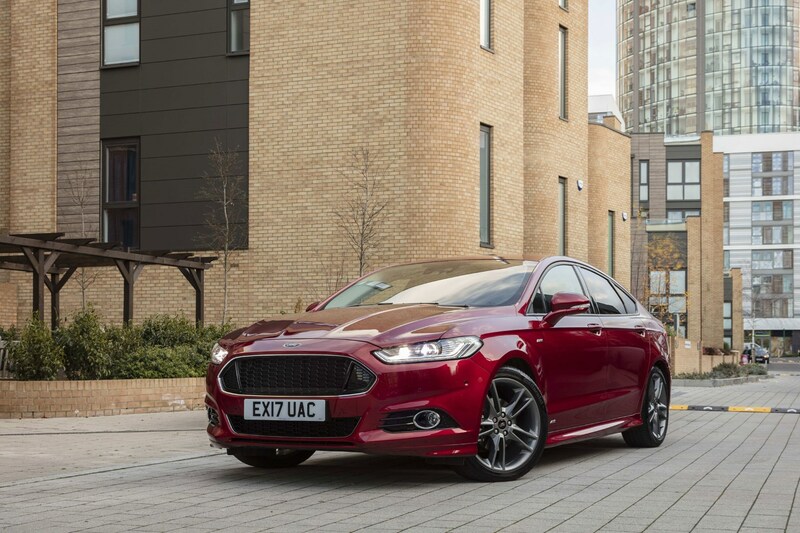 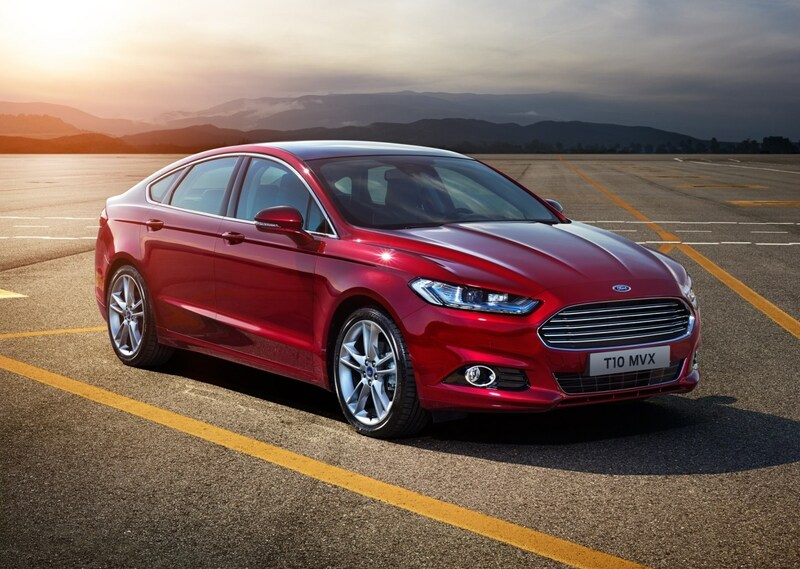 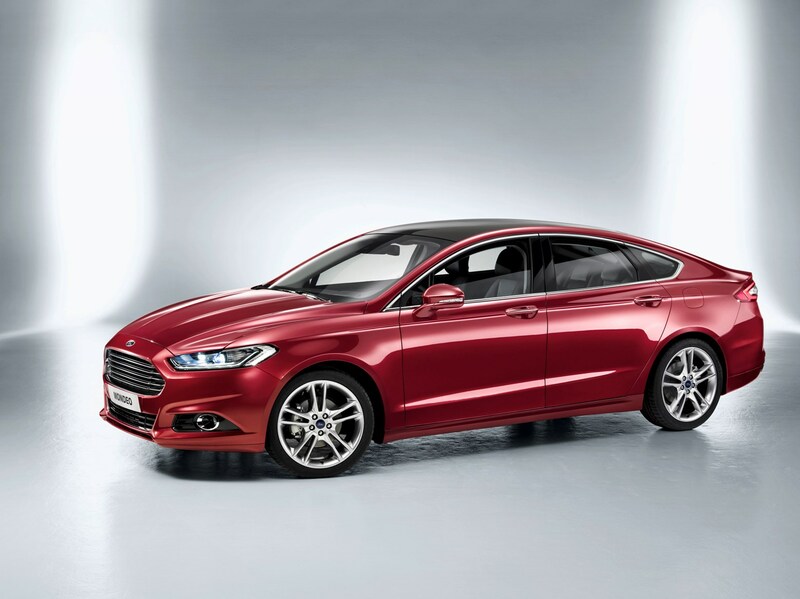 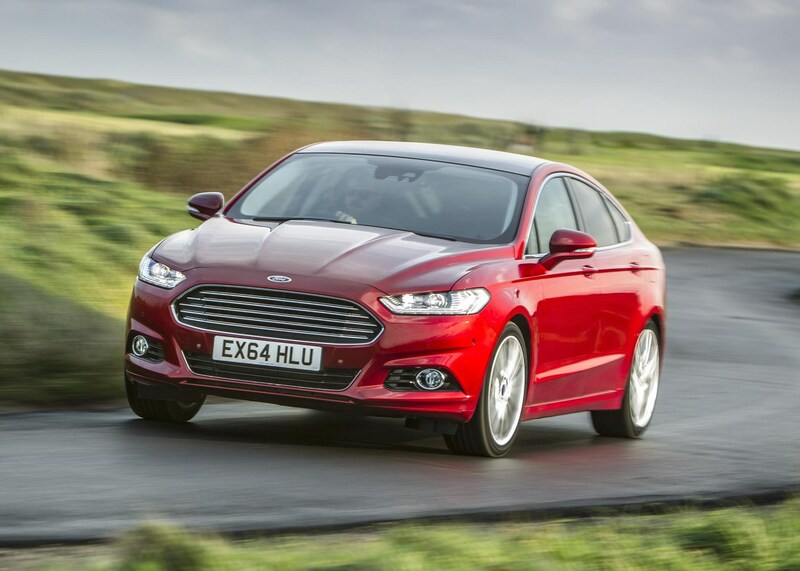 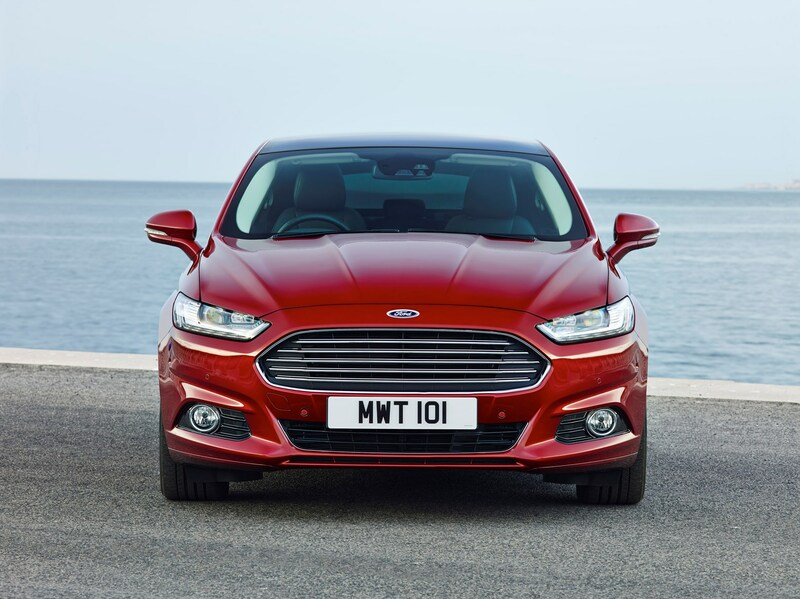 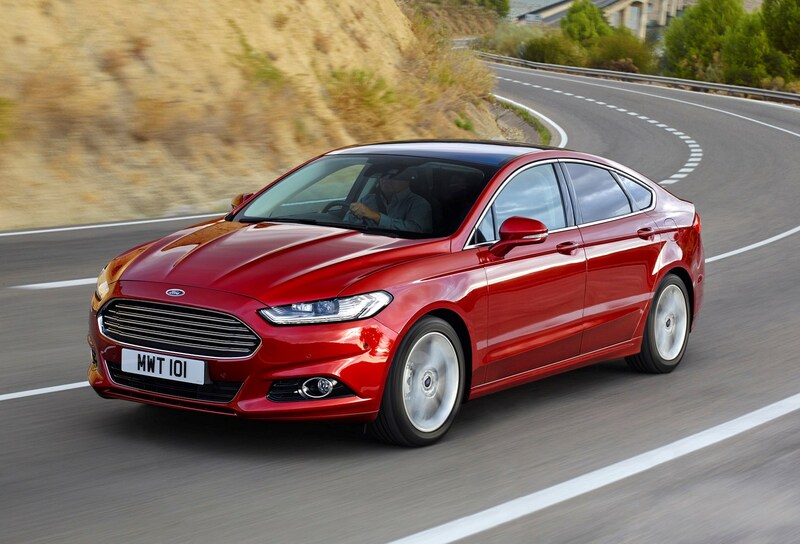 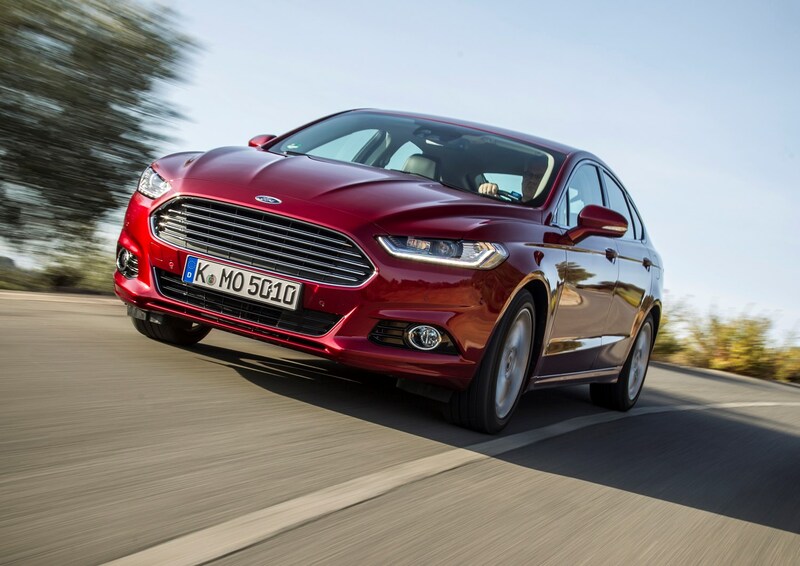 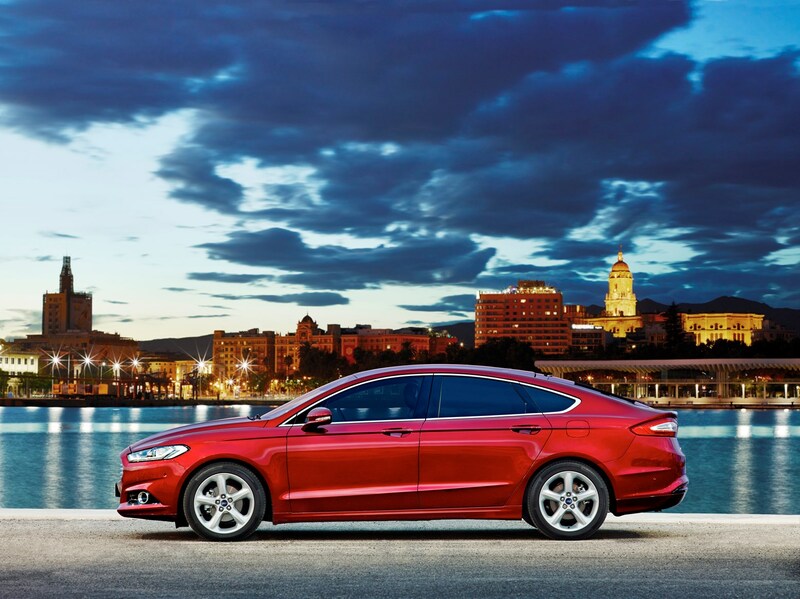 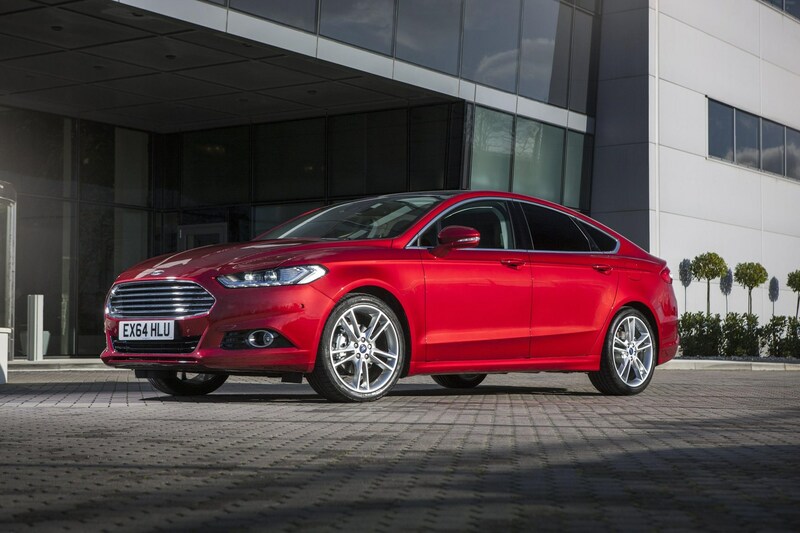 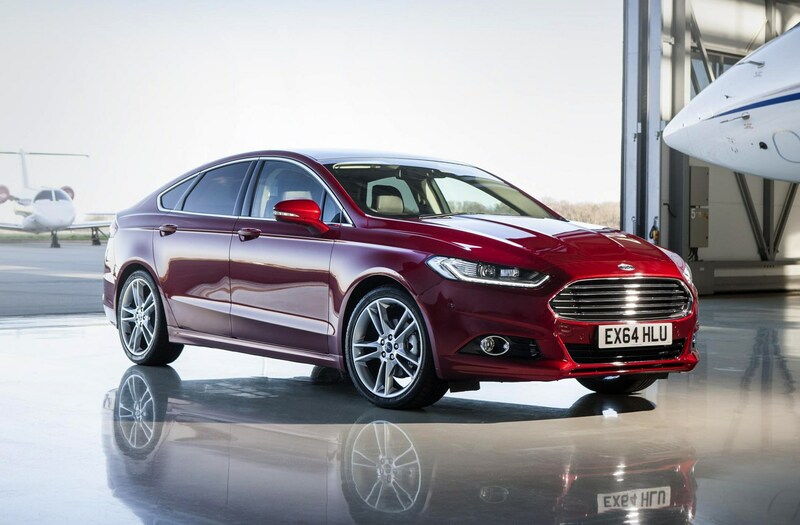 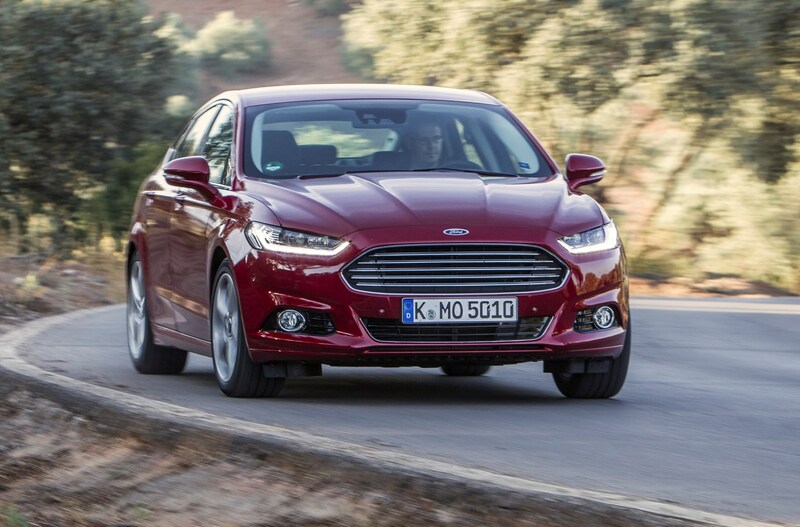 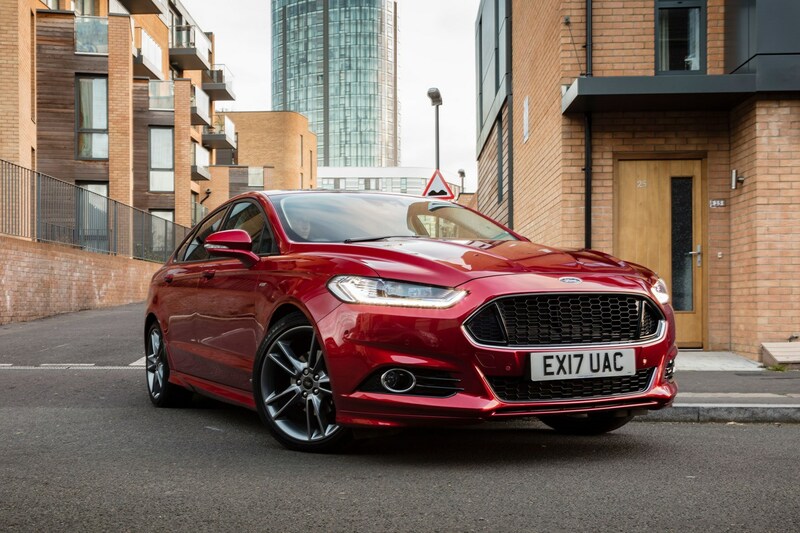 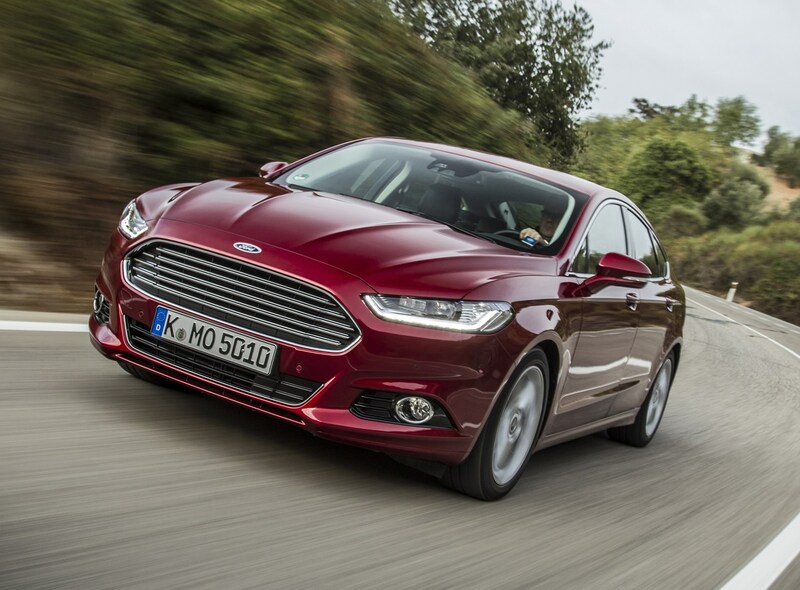 The Mondeo comes in a choice of five trim levels: Zetec Edition, ST-Line, ST-Line Edition, Titanium Edition and Vignale. 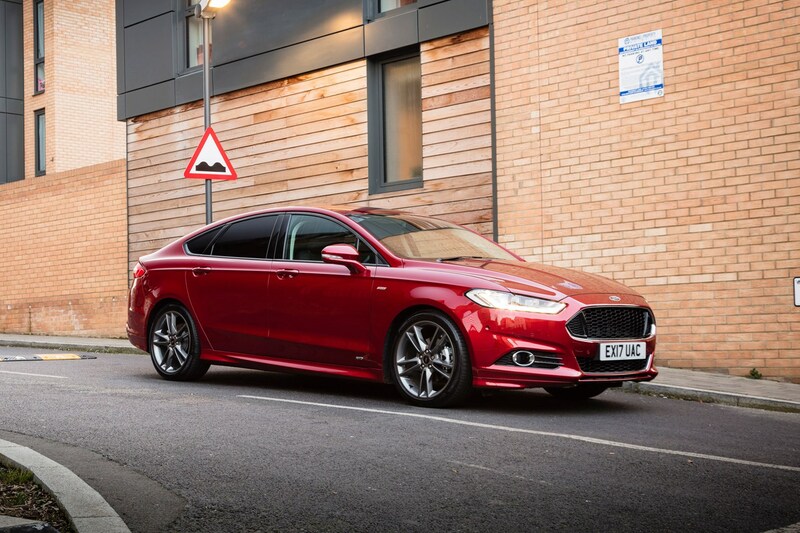 The ST-Line X loses electric adjustment for the passenger seat, and comes with part-leather upholstery compared with Titanium Edition (and keeps the rest of Titanium Edition’s kit roster), but adds 19-inch alloy wheels and rear privacy glass to the regular ST-Line. 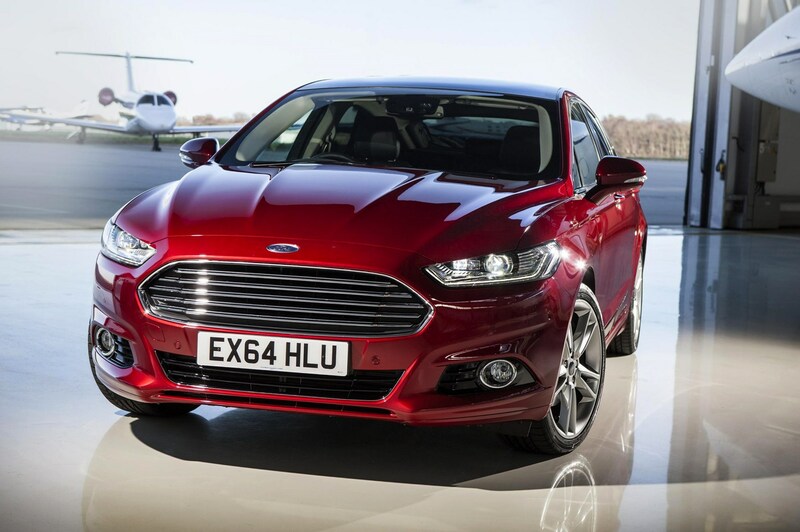 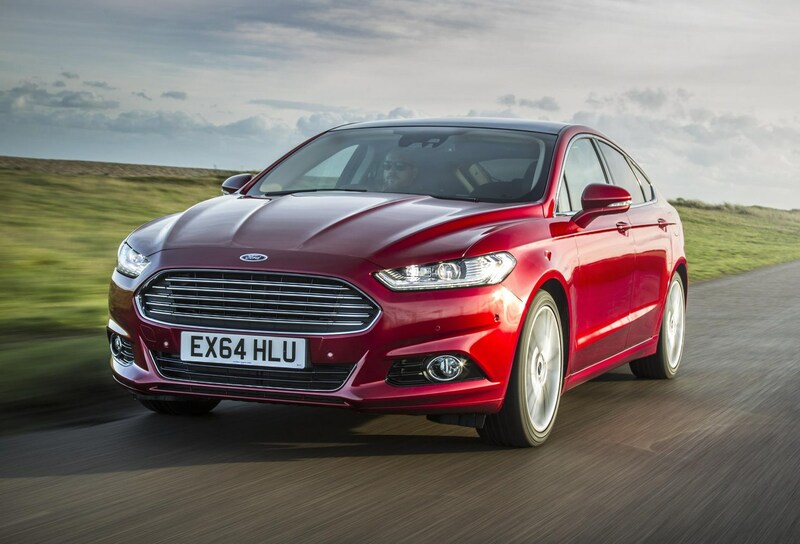 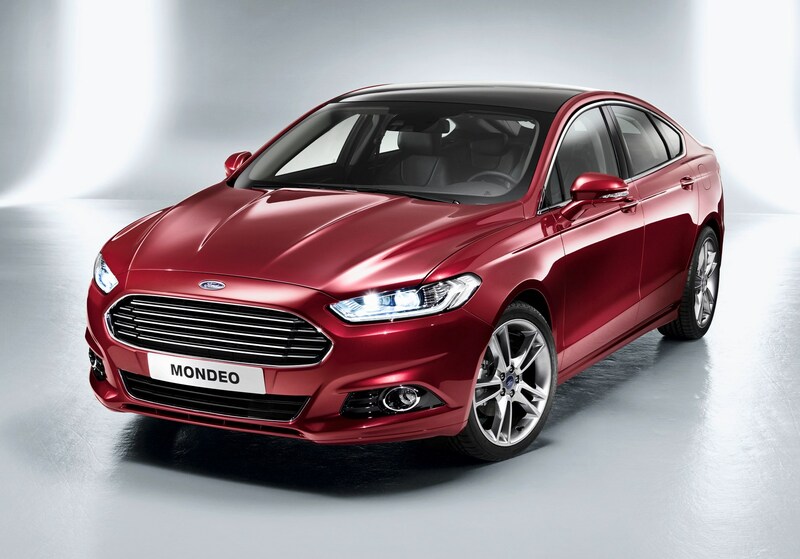 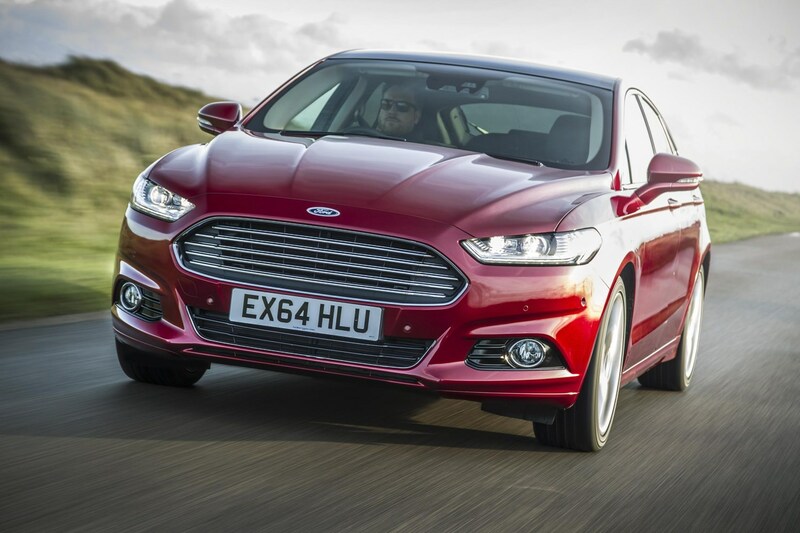 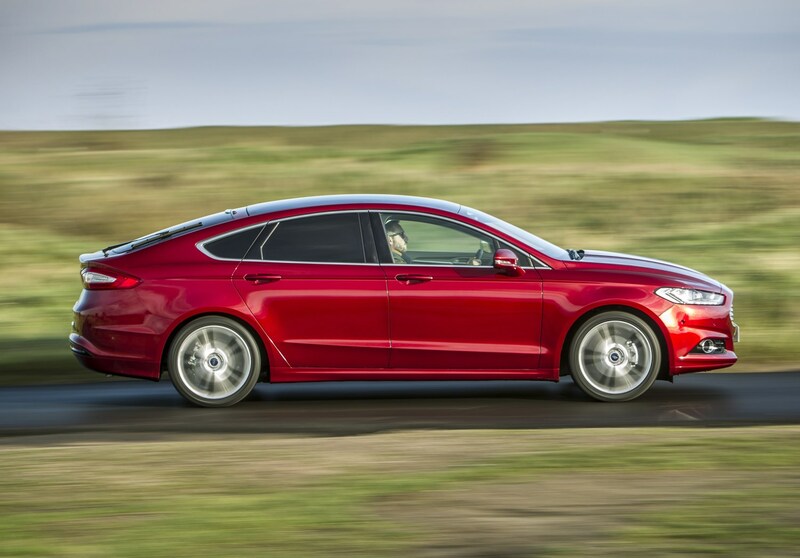 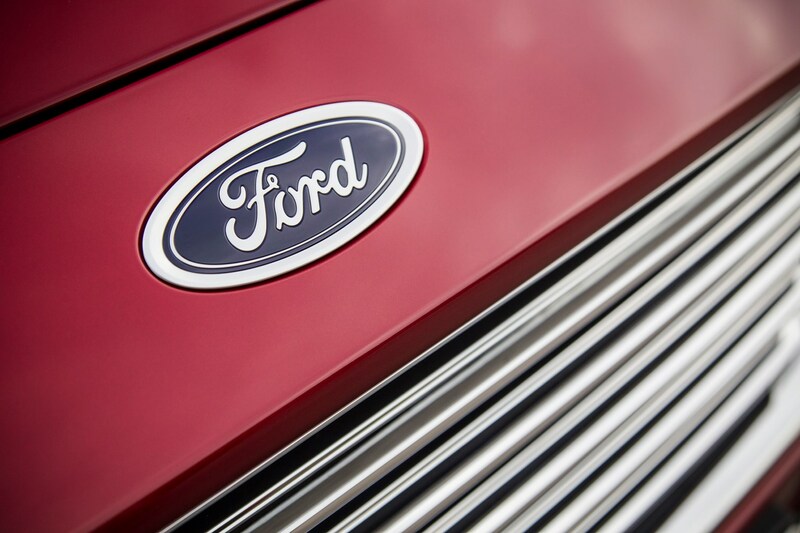 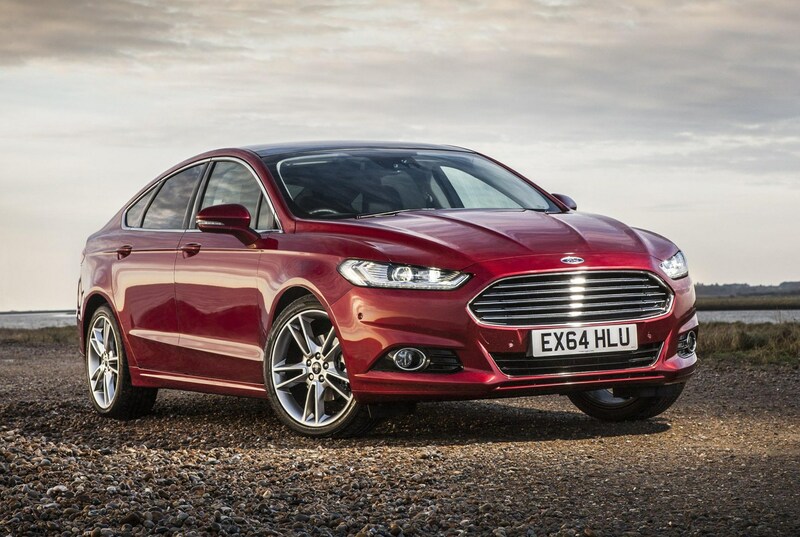 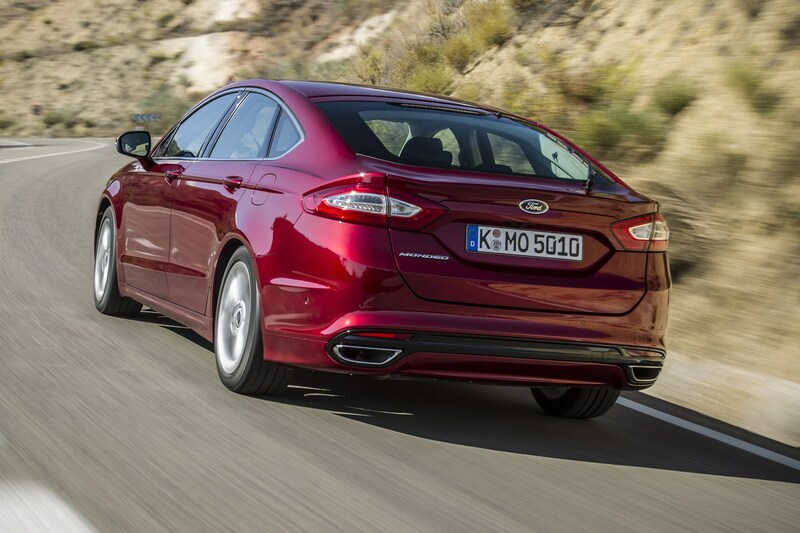 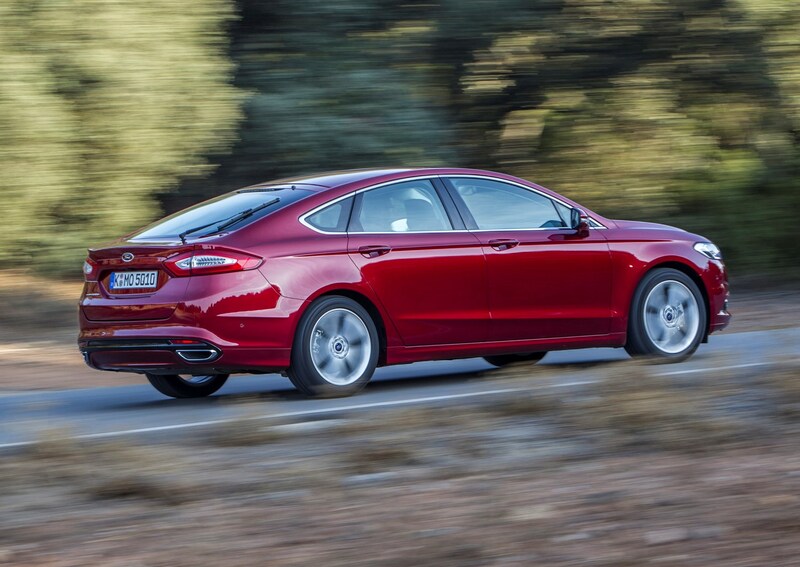 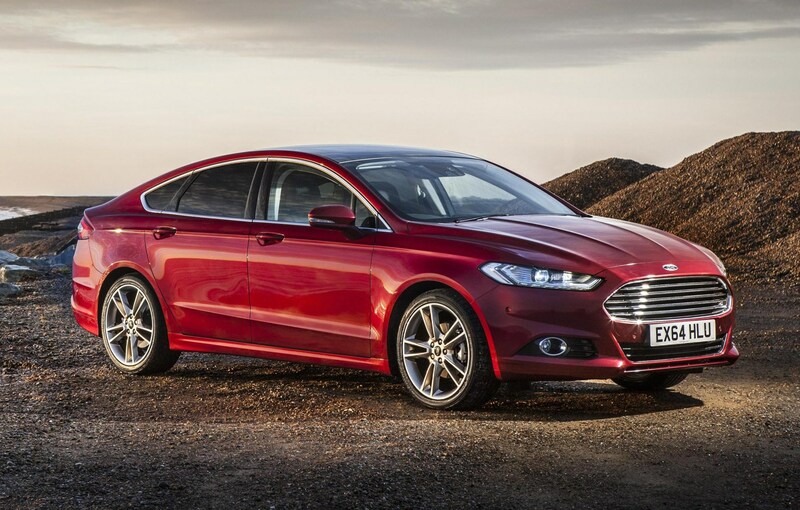 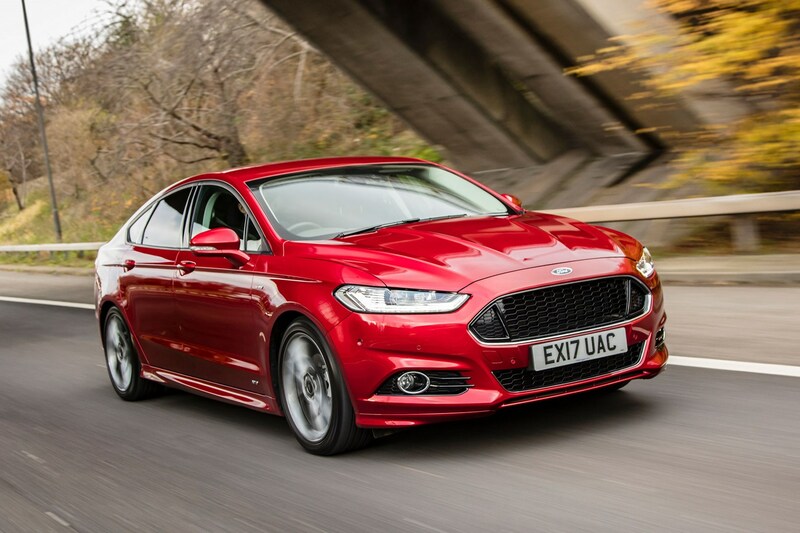 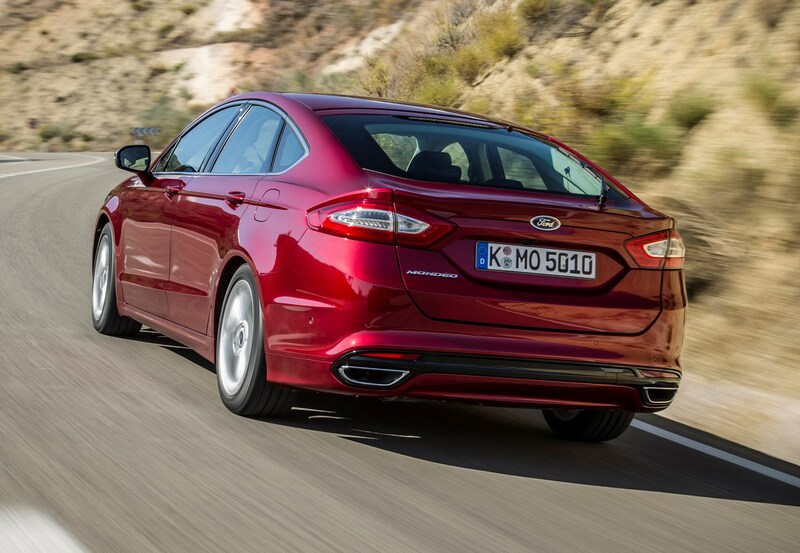 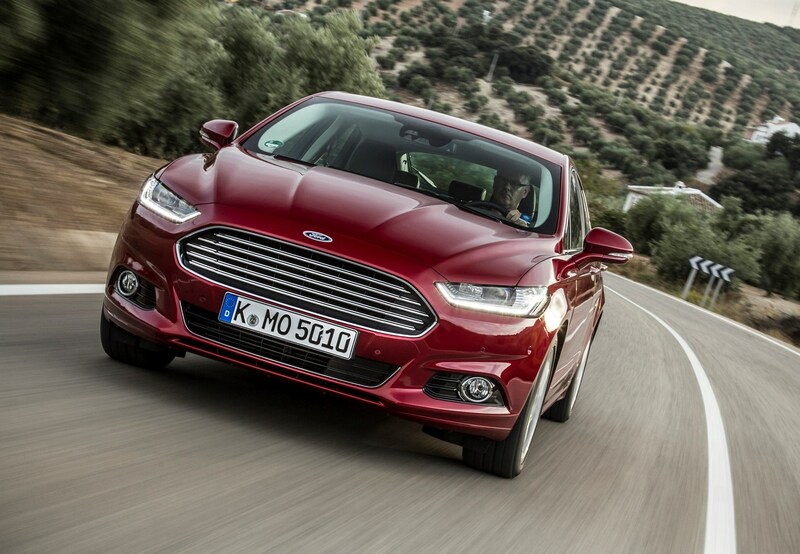 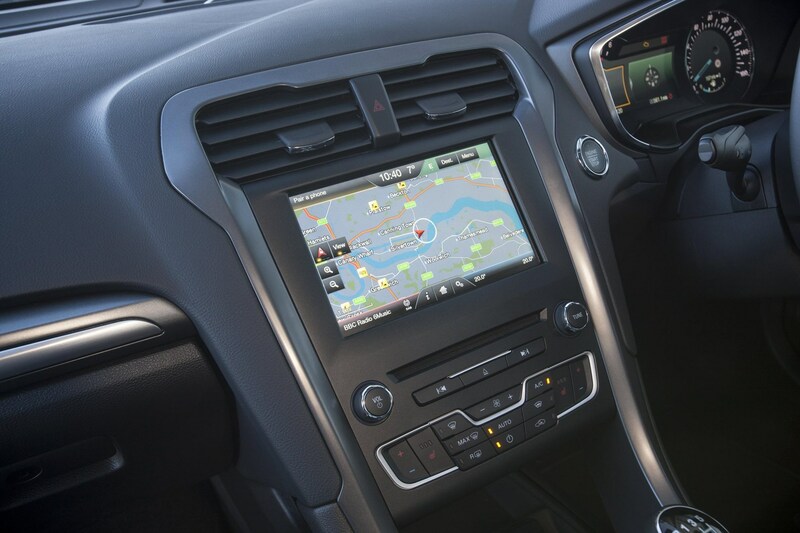 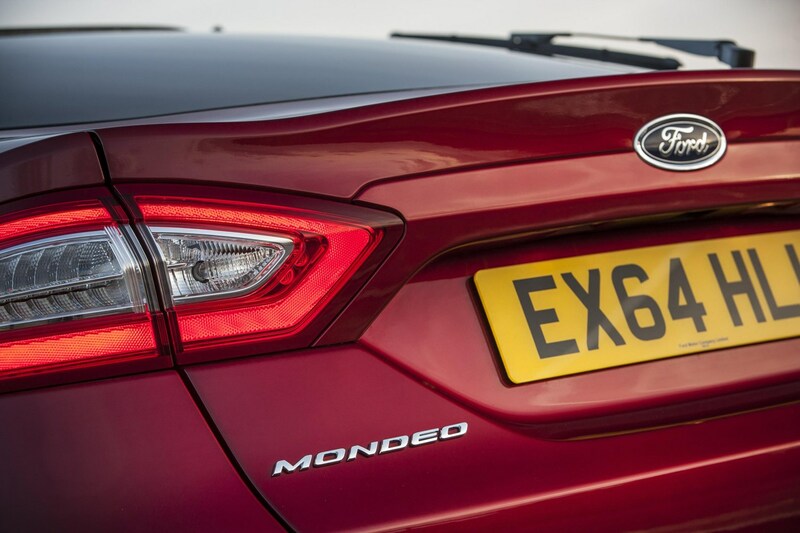 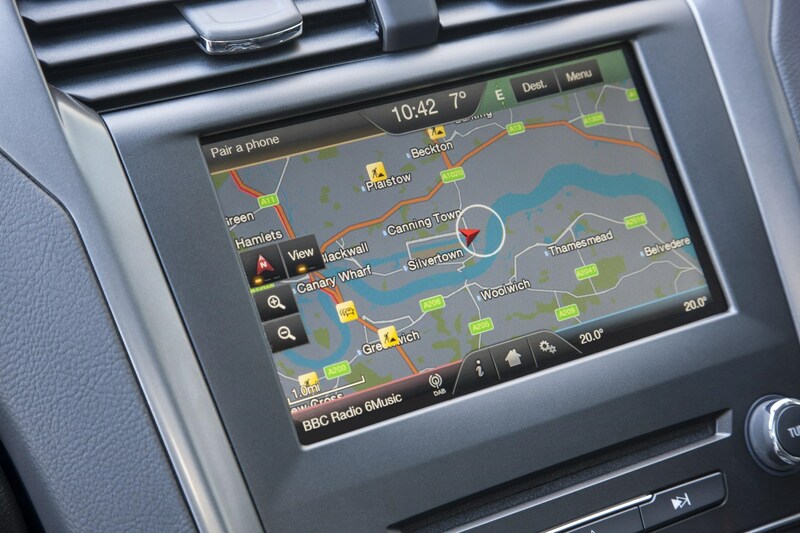 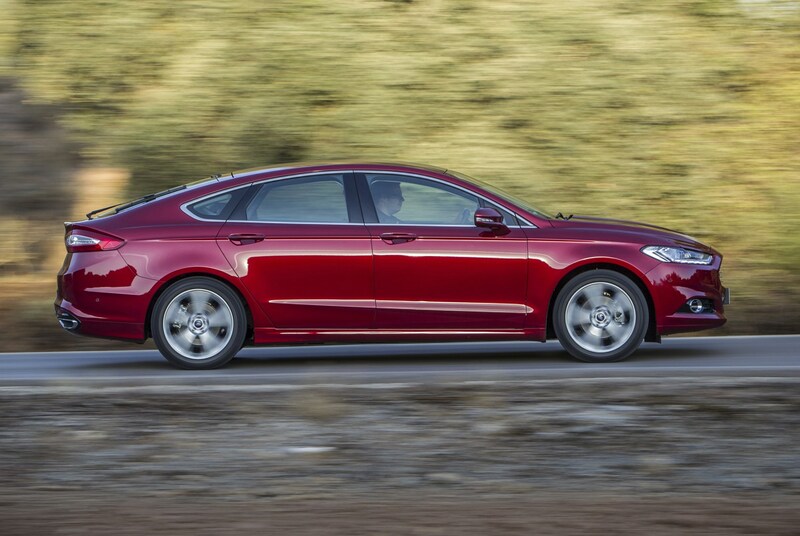 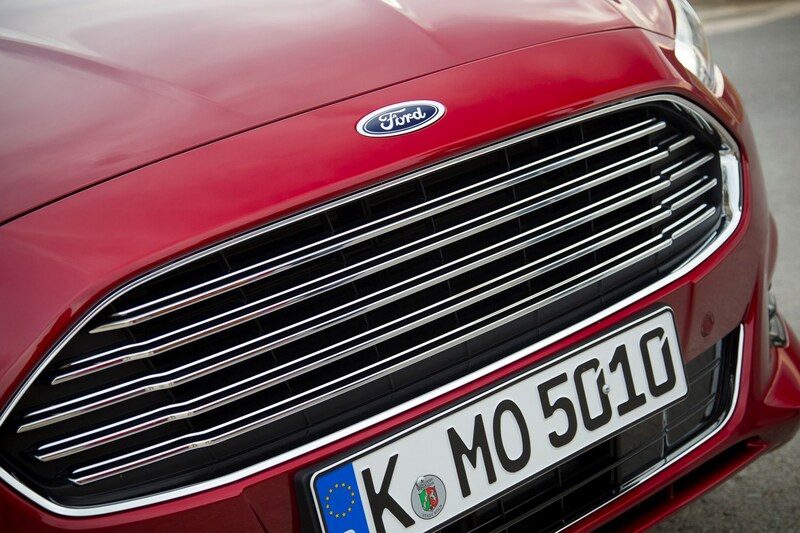 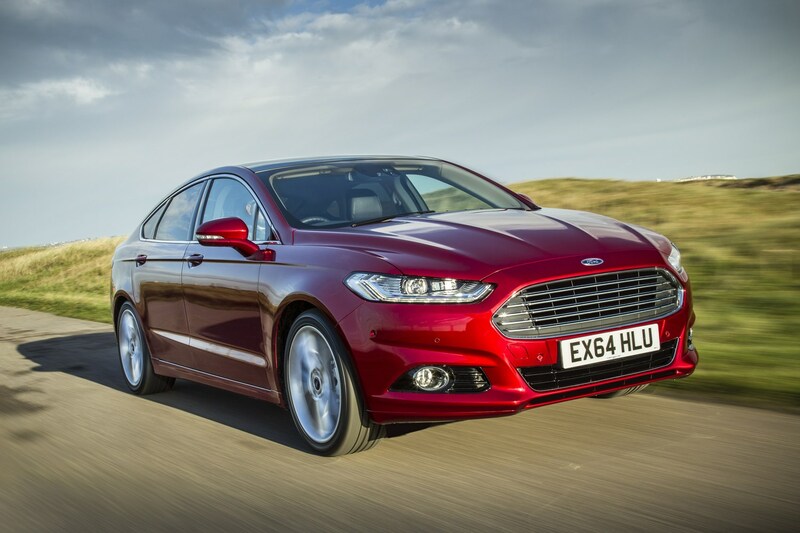 There’s a plethora of factory-fitted options to personalise your Mondeo. 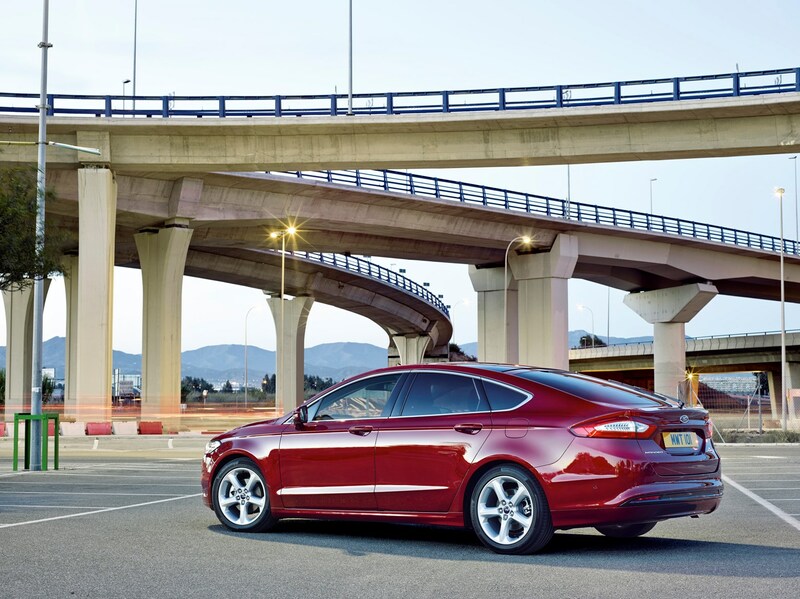 A large proportion opt for the self-parking function, which also allows parallel parking. 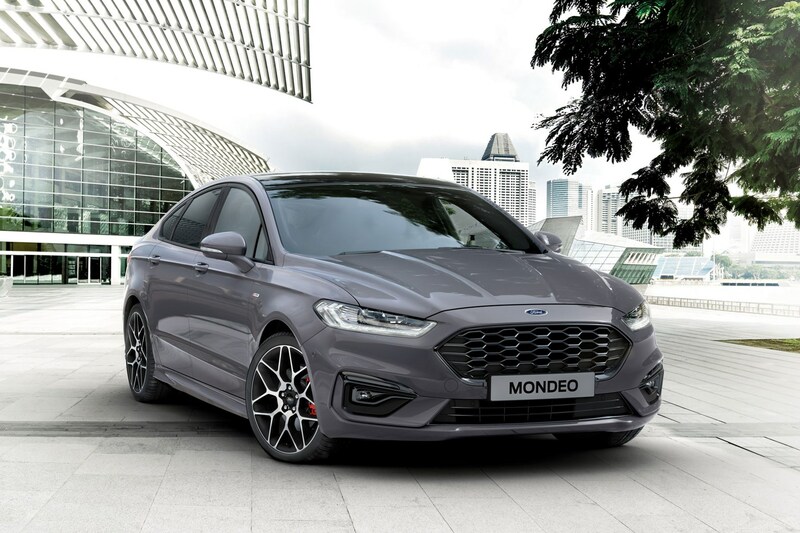 You might want to beef up the Mondeo’s styling, Titanium models can be specified with 19-inch alloys, although there’s negative effect on CO2 output, while a full-size spare can also be fitted, but it reduces boot space by 83 litres. 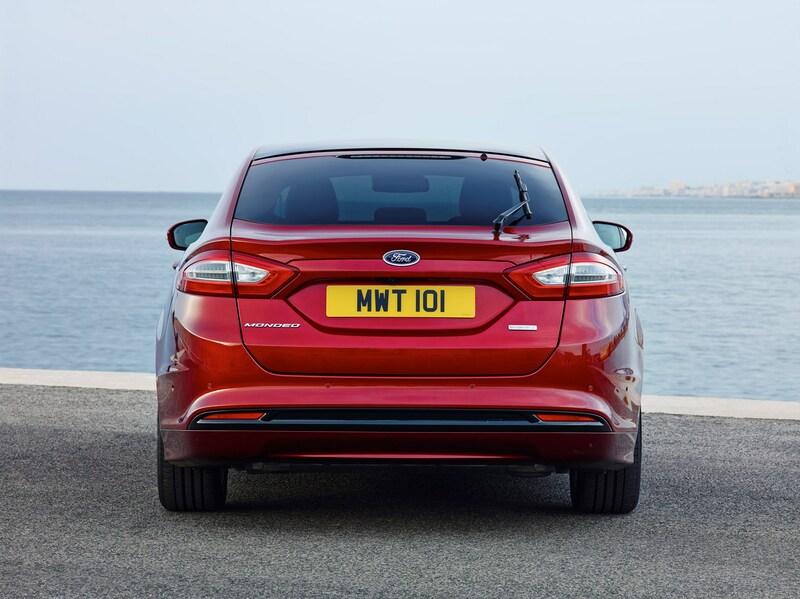 Further items you might want to tick from the options list include a body kit, a rear spoiler – although not if you opt for the electric tailgate, adaptive LED headlights, a fixed glass roof and a retractable tow bar with electronic towing sway control. 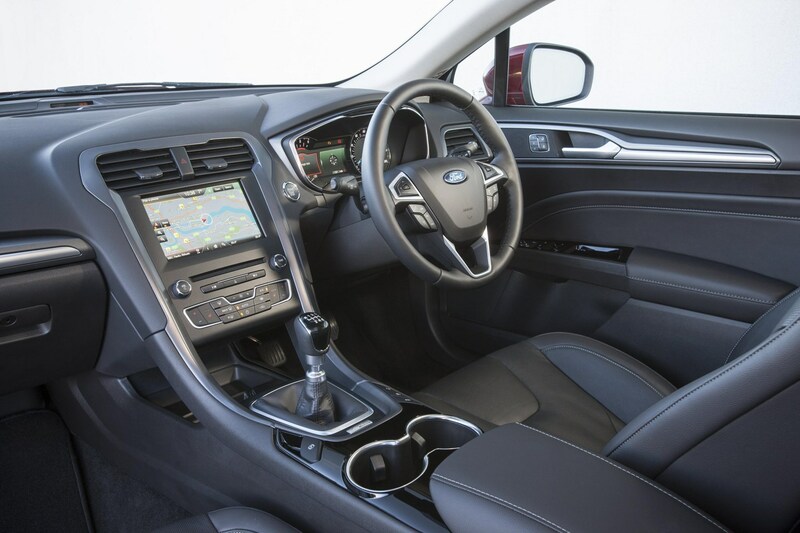 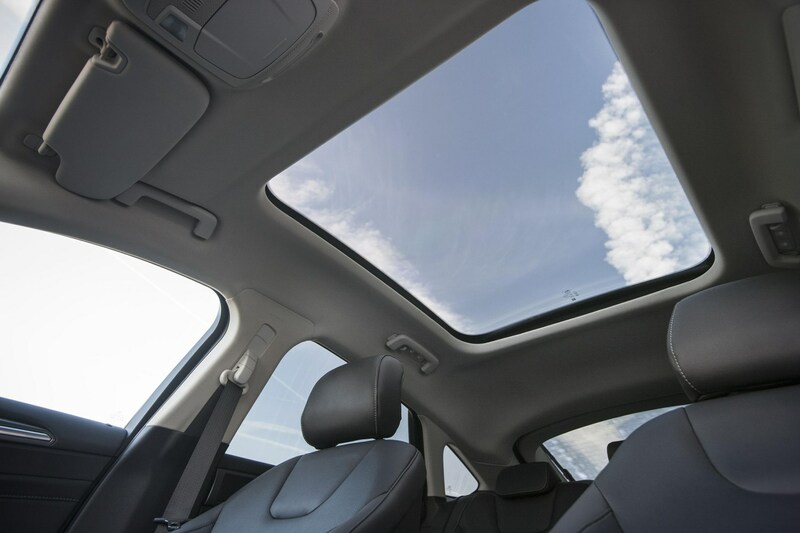 Inside you can also specify rear sun blinds, a Winter Pack encompassing heated front seats and steering wheel, upgraded Sony sat-nav and stereo, emergency city braking, adaptive cruise control, blindspot warning, reversing camera and an electric steering column adjustment. 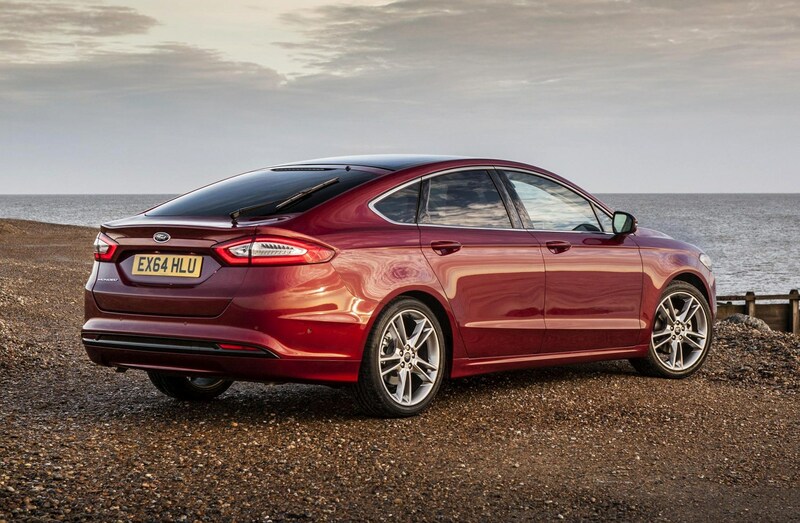 Euro NCAP has crash tested the Mondeo Estate, but its score also applies to the five-door hatchback, achieving five stars. 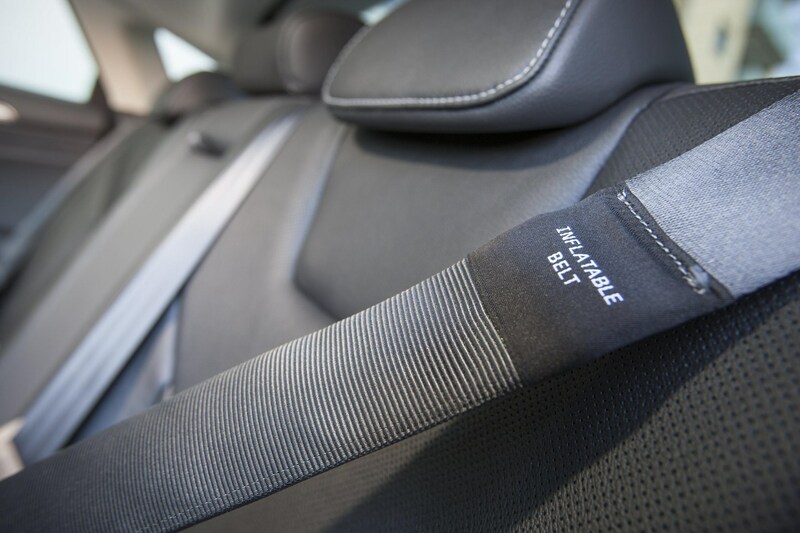 The car’s underlying structure is both lighter and stronger than before, meaning it will fundamentally protect occupants better in the unfortunate occurrence of an accident. 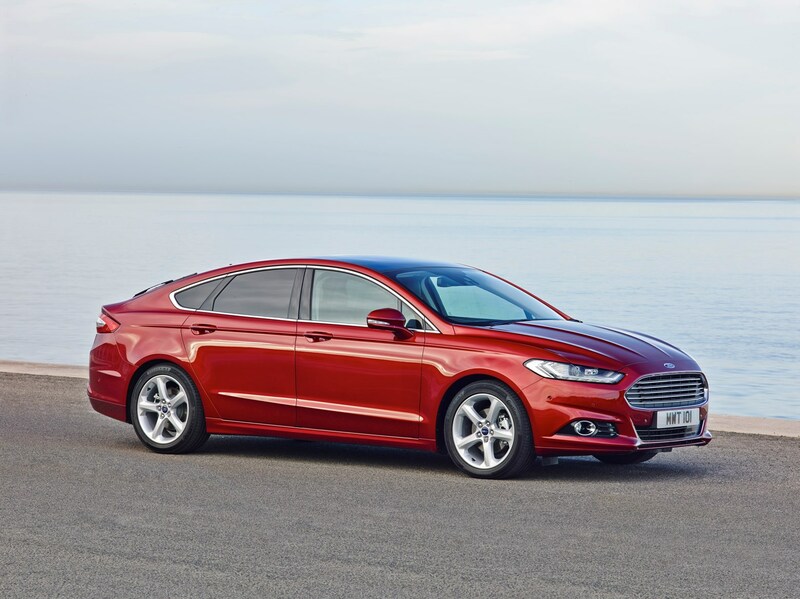 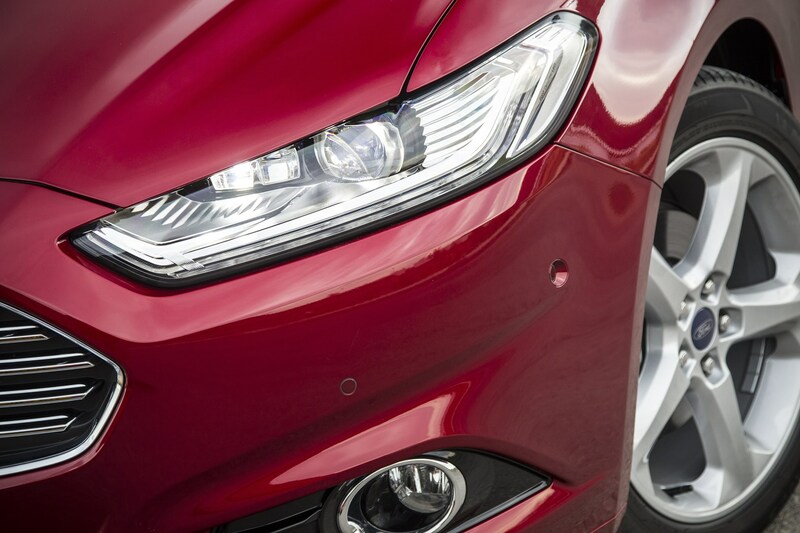 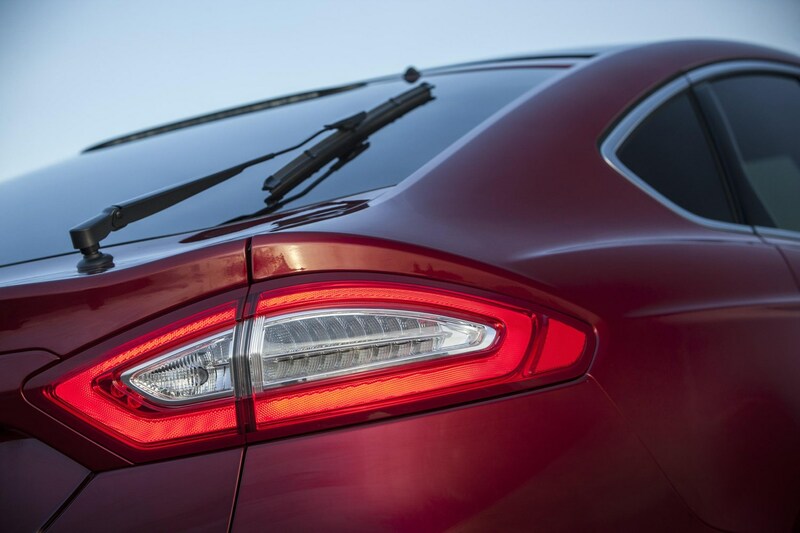 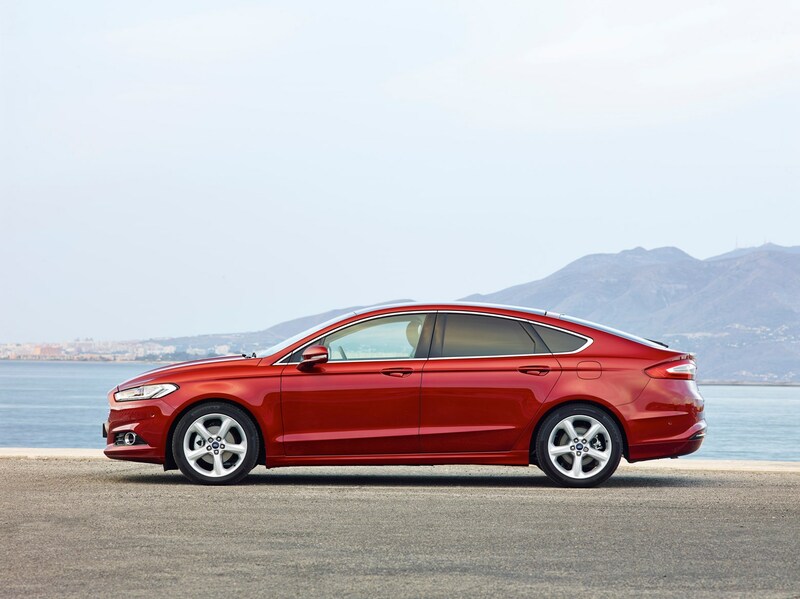 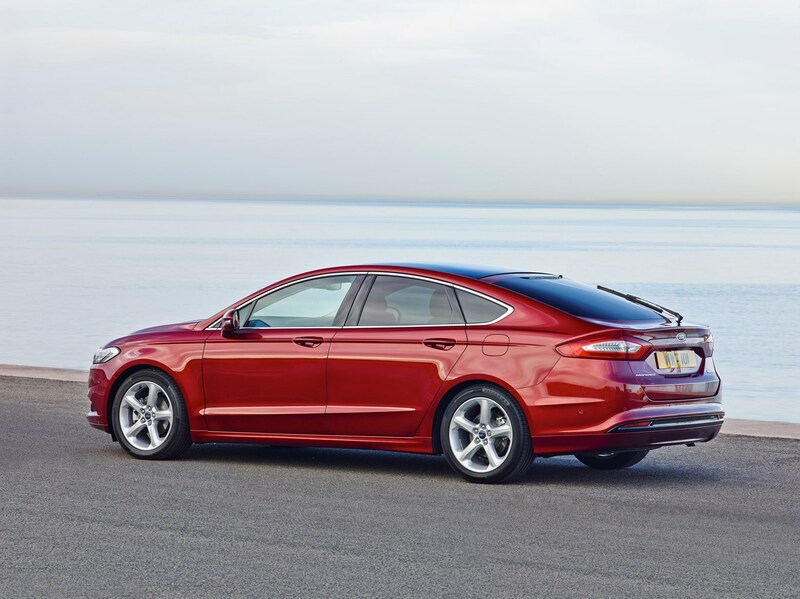 All-round airbags also contribute to safety while LED tail lights and a pedestrian detection system which aims to minimise if not negate collisions with individuals enhance safety for those outside the Mondeo. 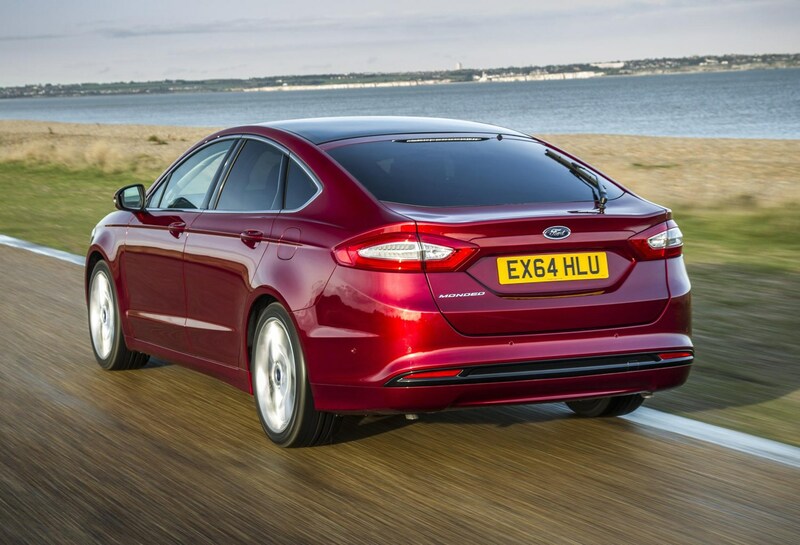 It’s the fact that you have to pay extra for so much equipment that could help save lives when Ford could have taken a lead and standardised much of the kit that disappoints us. 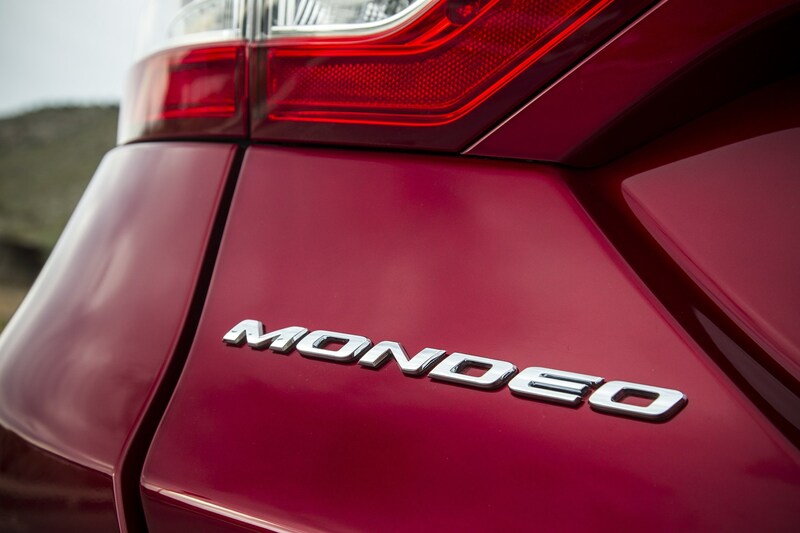 If it was, we would have given it a higher star rating here. 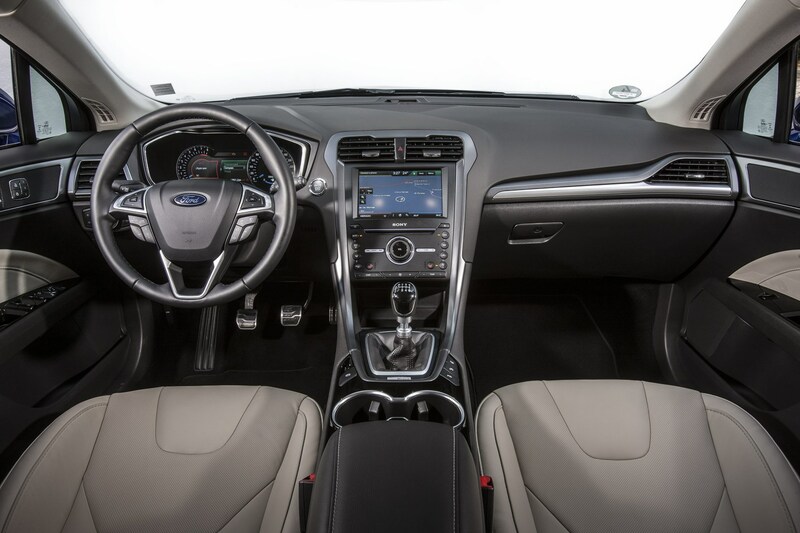 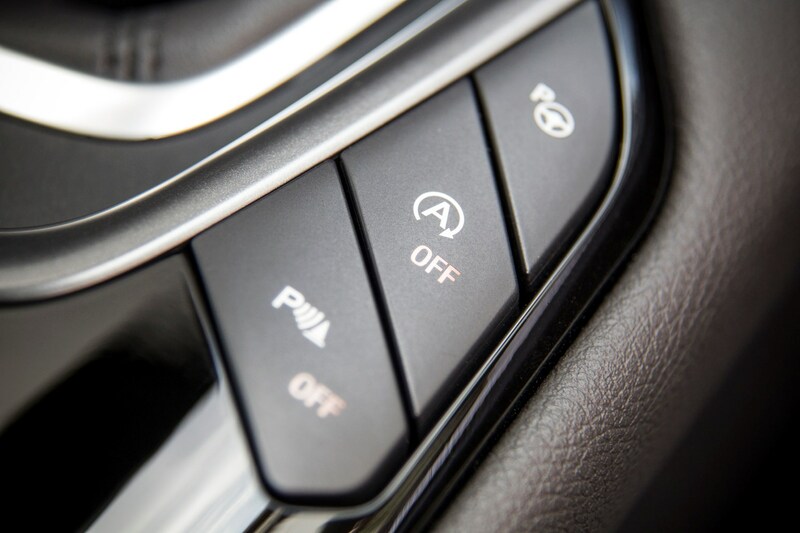 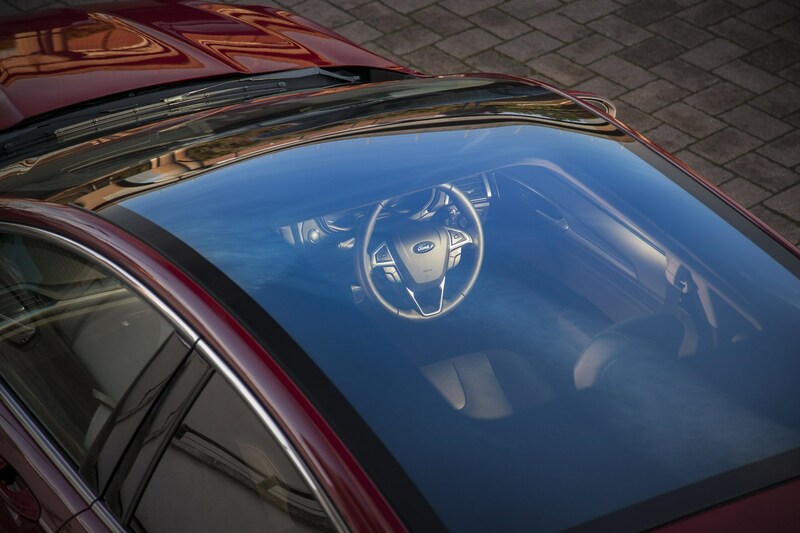 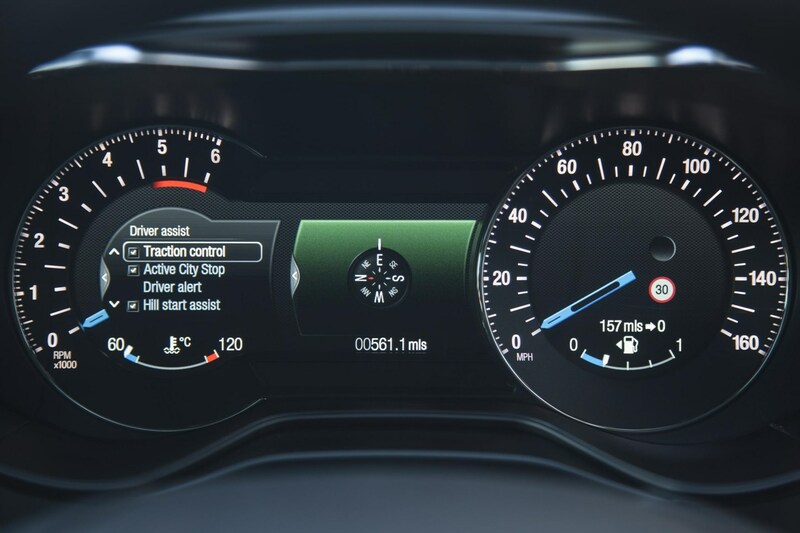 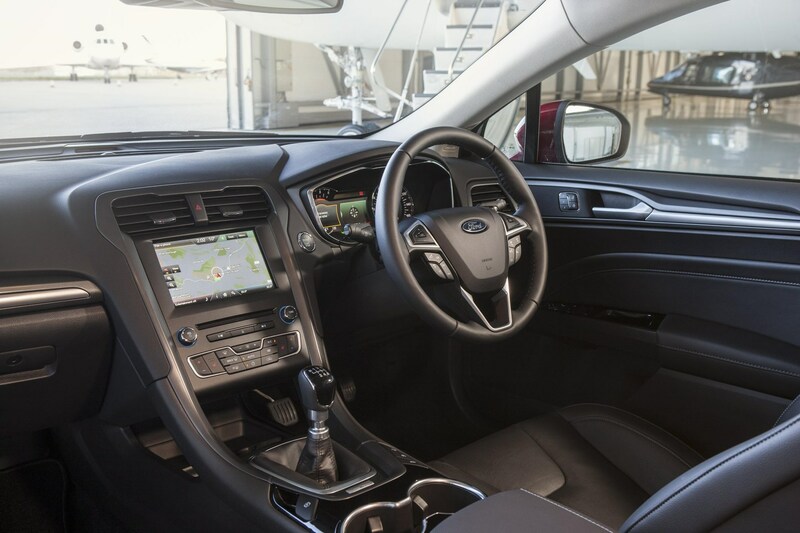 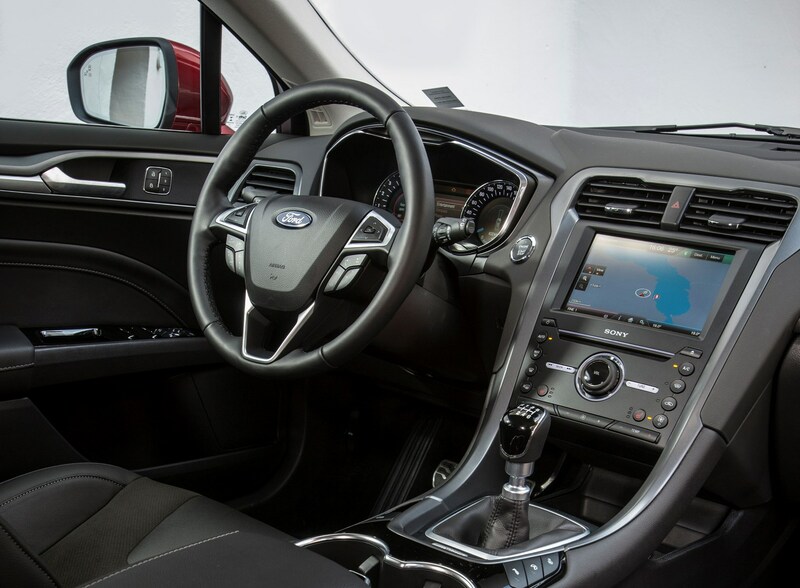 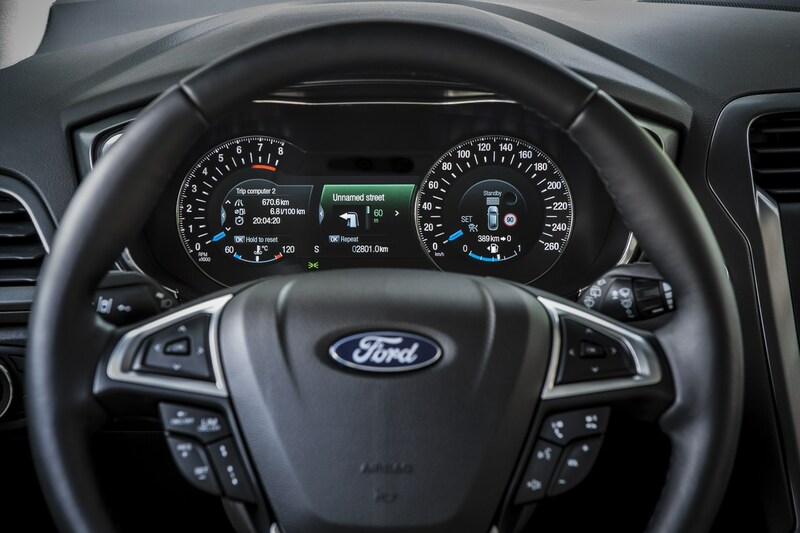 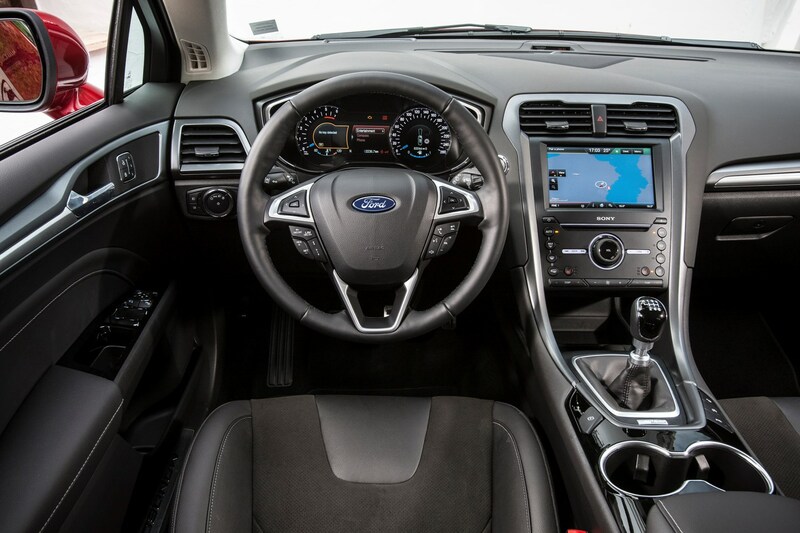 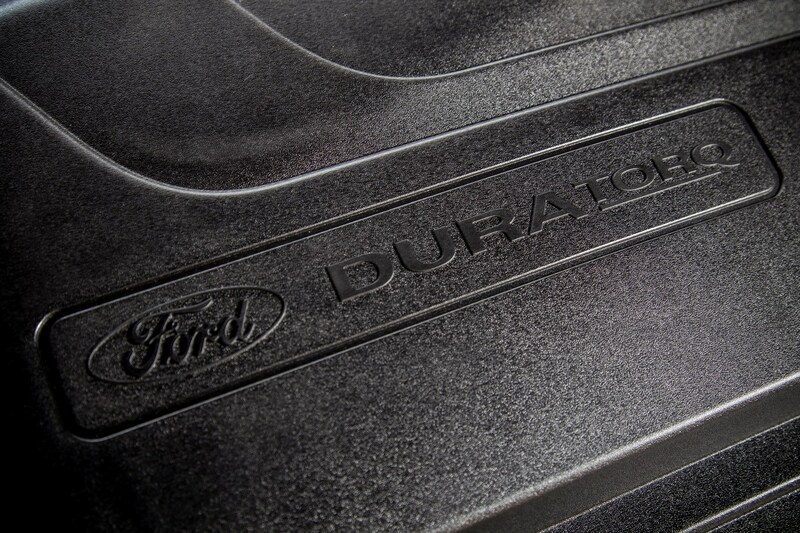 Optional safety equipment includes those inflatable rear airbags – a first on a European market Ford, adaptive cruise control and blindspot warning system. 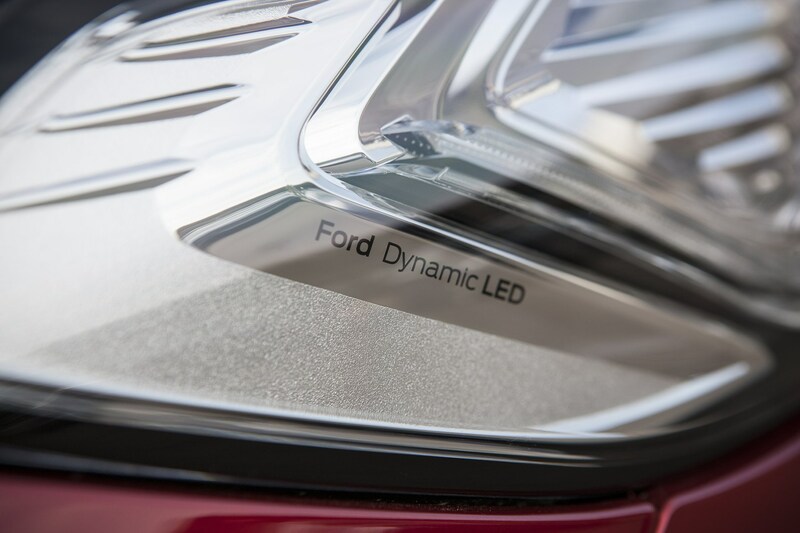 Higher-spec versions do come with a lane-departure warning system while top-of-the-range cars feature dynamic LED headlights as standard, bending the light beam towards corners as you steer. 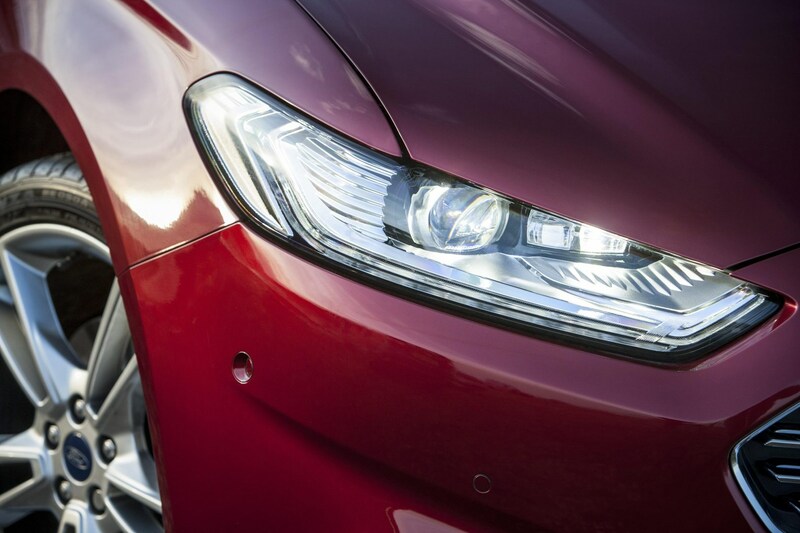 LED day-running lights also come as part of that package. 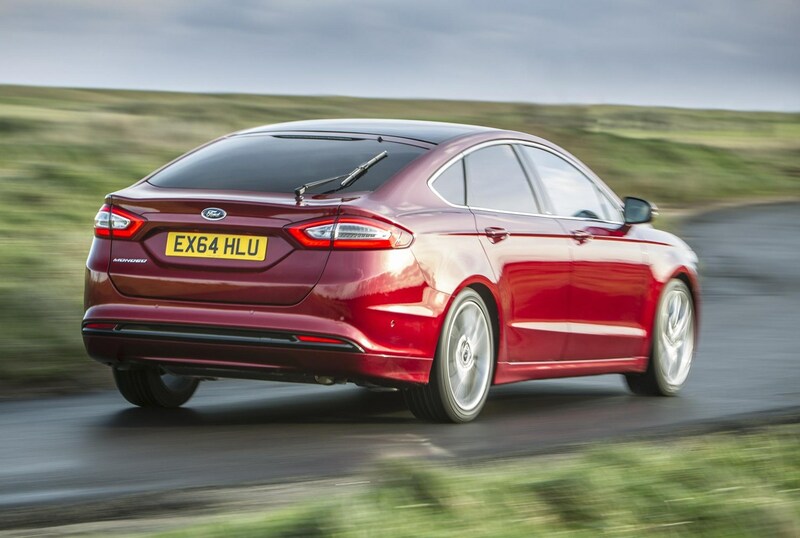 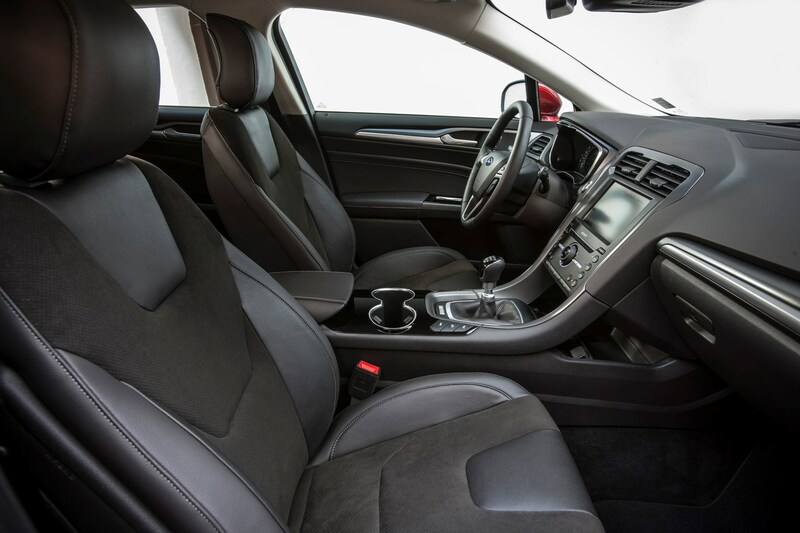 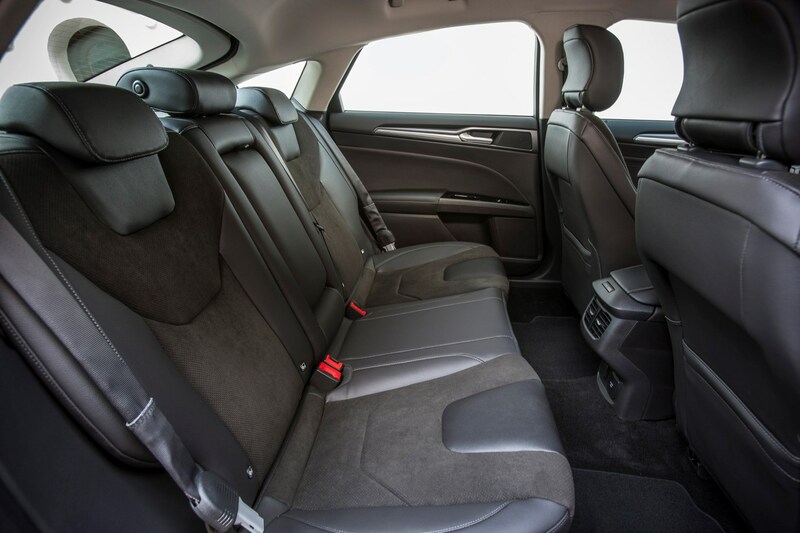 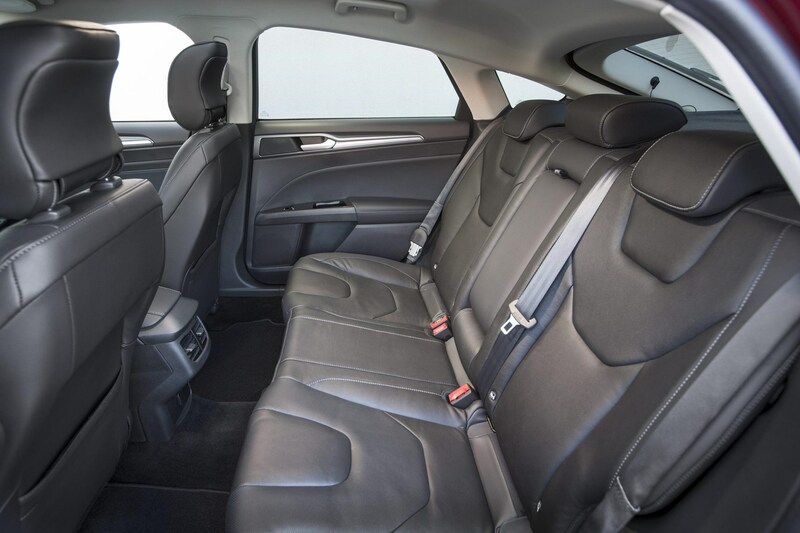 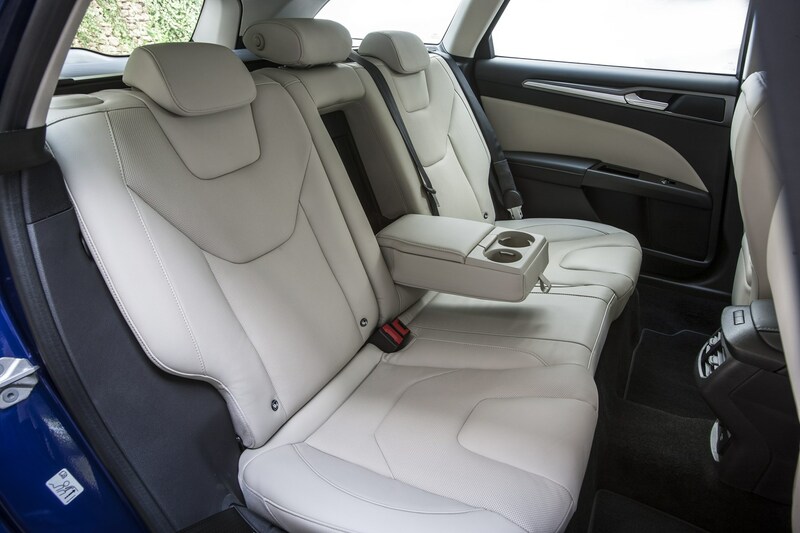 While boot space is marginally down on rivals like the Skoda Superb, what will be appreciated is the Mondeo’s genuine ability to seat five adults in comfort. 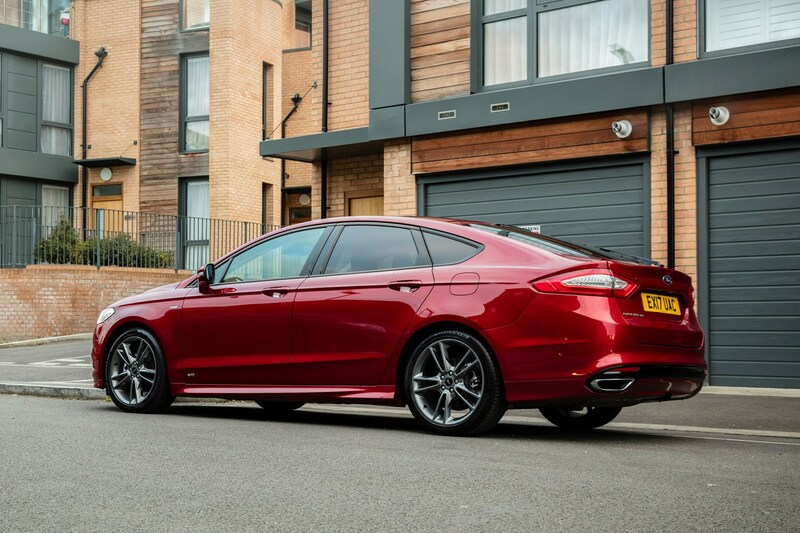 If you’re much over six feet tall you might grumble at the sloping rear roofline which impinges on headroom – not an issue on the estate. 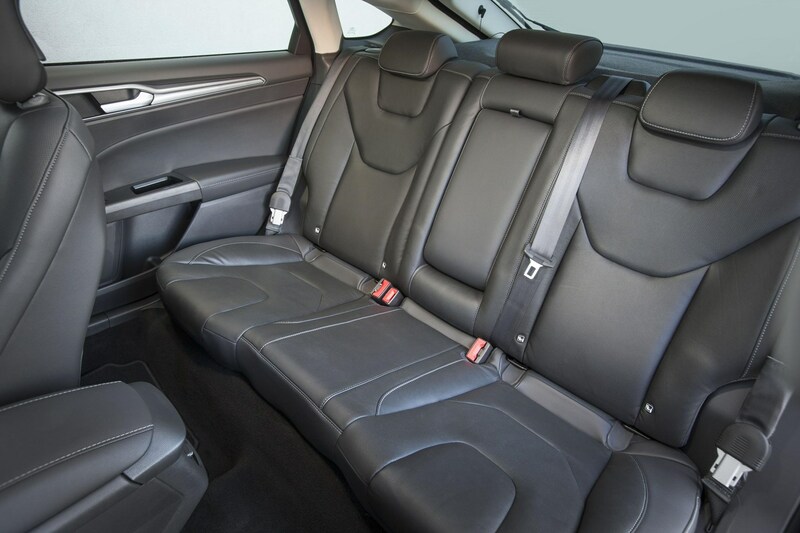 Legroom and shoulder width all impress too. 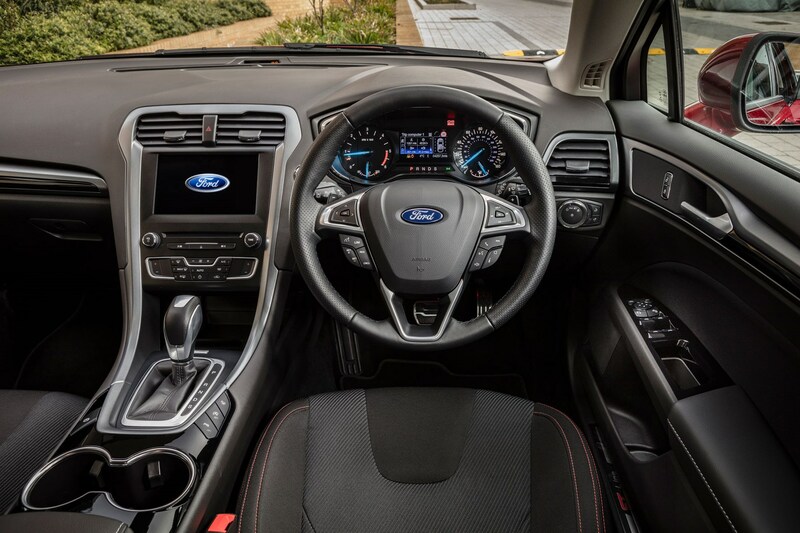 The front seats, particularly the more enveloping sports variety fitted to the ST-Line and Titanium Edition models offer fine support in all aspects meaning you’re unlikely to feel fatigued after a long drive. 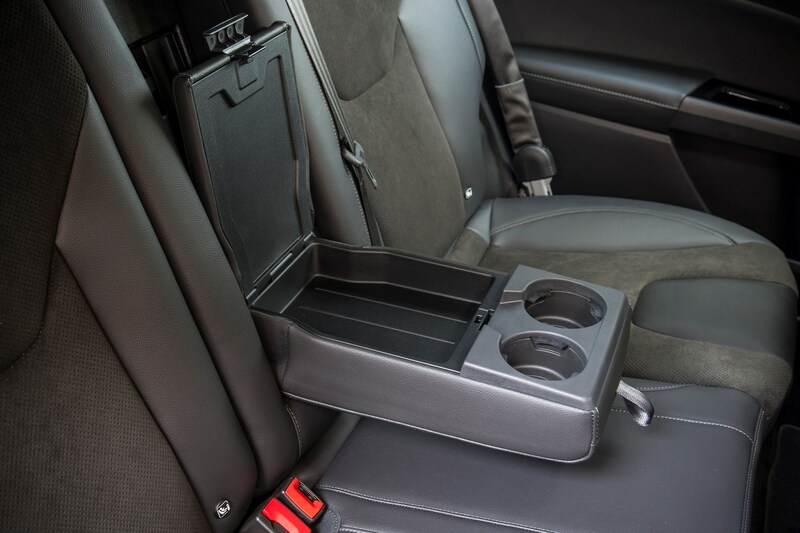 Storage compartments are dotted around the cabin, all being useful in size and shape, especially the glovebox with an integral shelf. 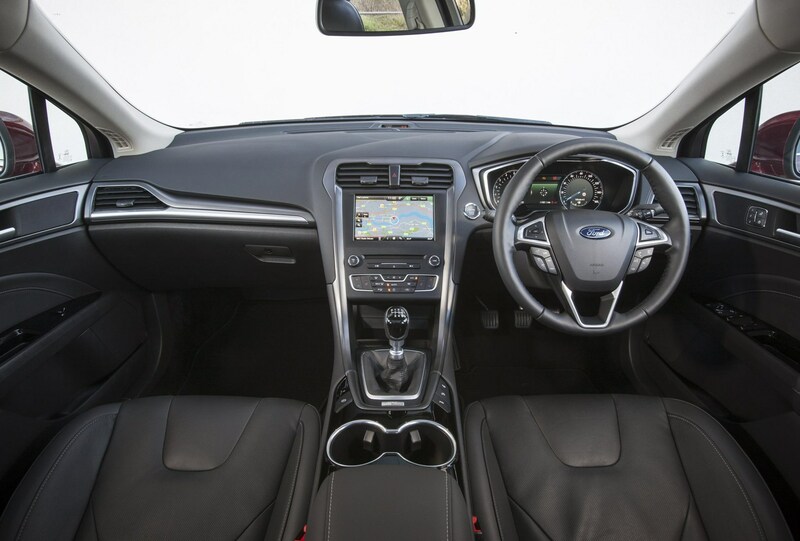 The open shelf area at the bottom of the centre console is ideal for placing a phone on, close to a 12V socket too, but it’s safely away from your eyeline too. 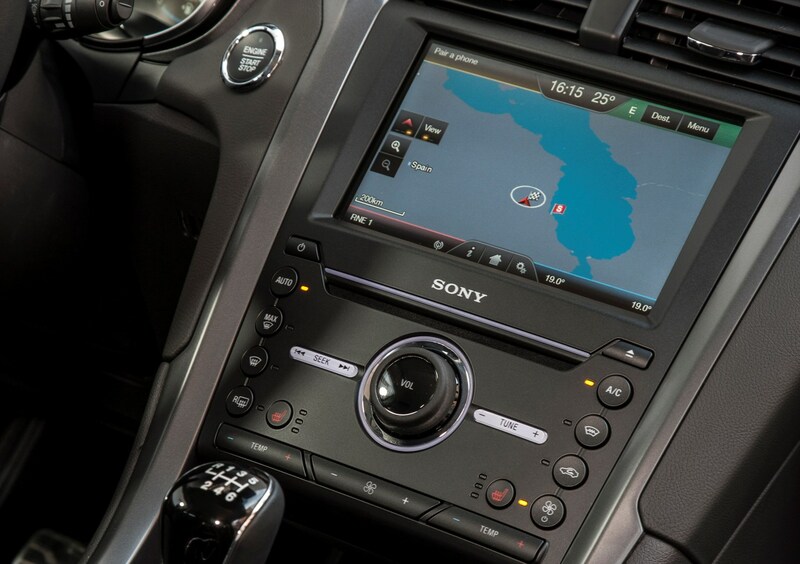 Pairing it via Bluetooth is simple and the connection seems reliable too. 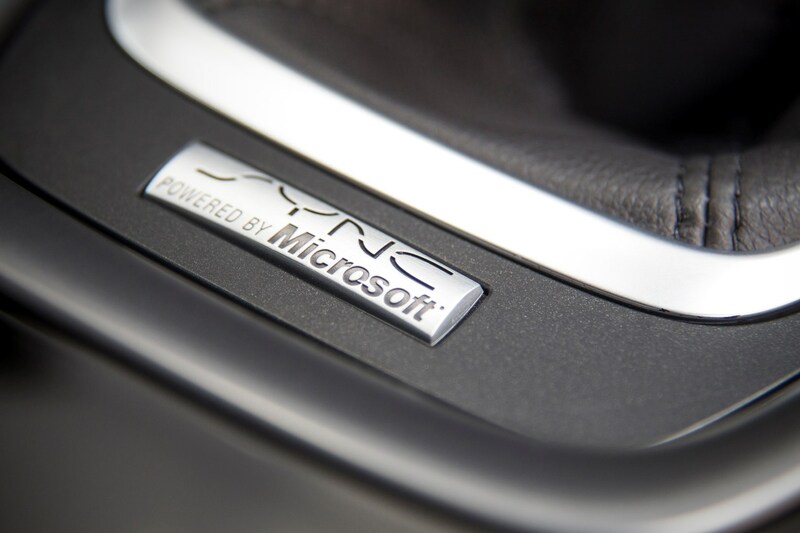 Sony were particularly confident that sound quality via a Bluetooth audio stream wasn’t inferior to plugged in connections. 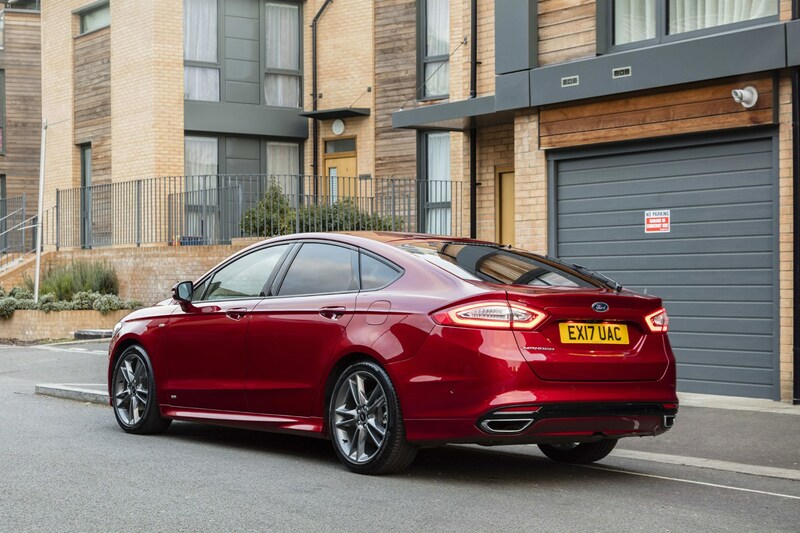 There’s no hiding the fact the Mondeo is a big car, and it can feel it on the road, particularly if you’re squeezing it into a tight space. 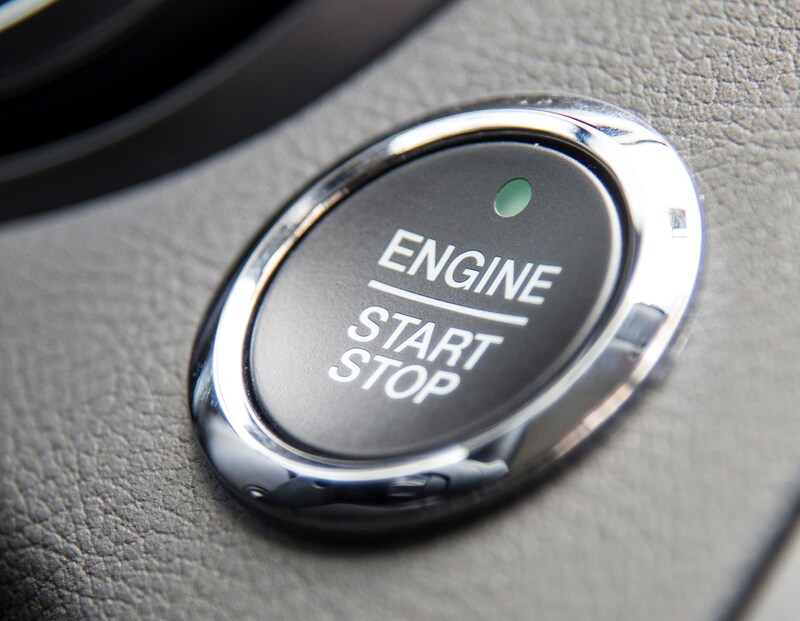 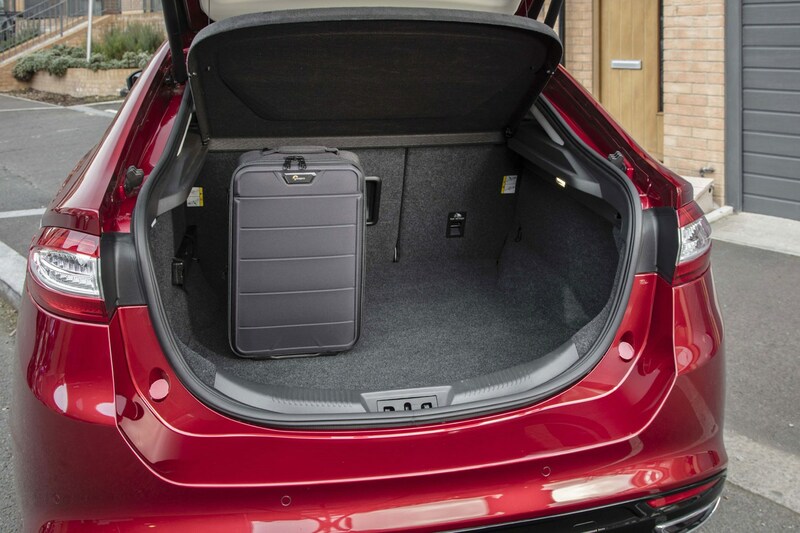 However, it’s not as daunting as it could be and is surprisingly manoeuvrable, just make sure you buy a version with parking sensors all round, and consider the optional reversing camera to boost visibility out the back of the car. 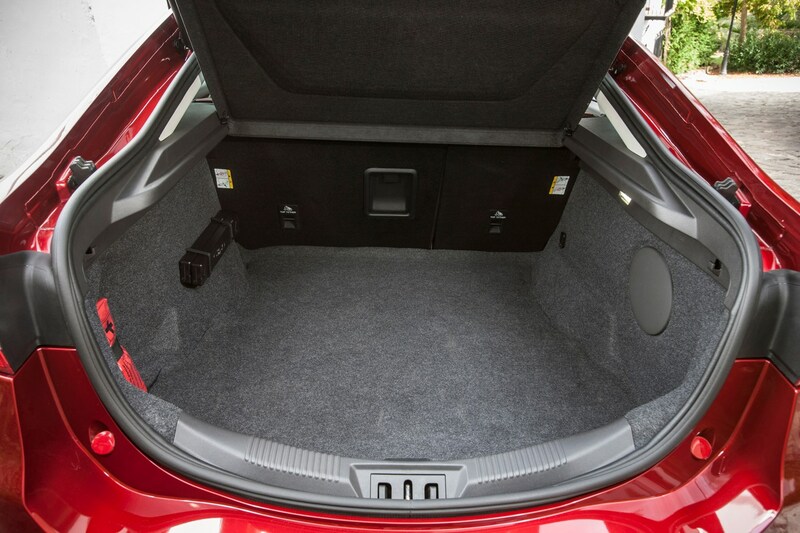 The main issue is the car’s length, as it can hang out the end of a parking space in town. 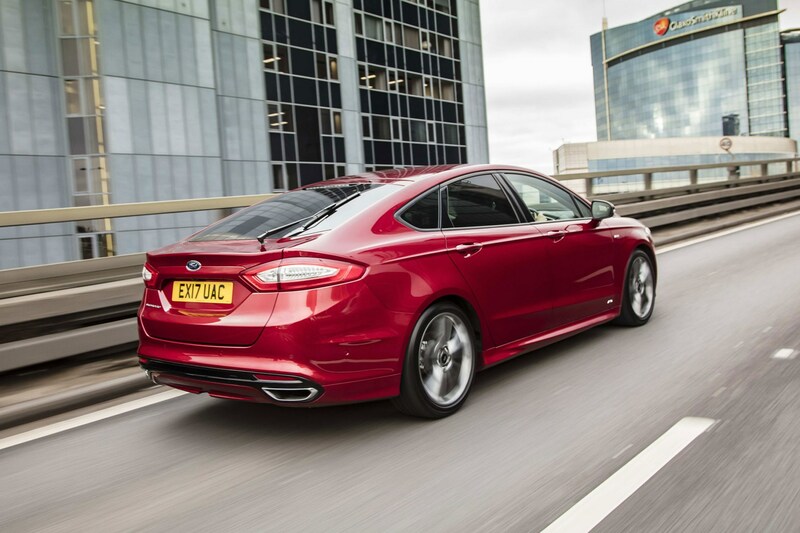 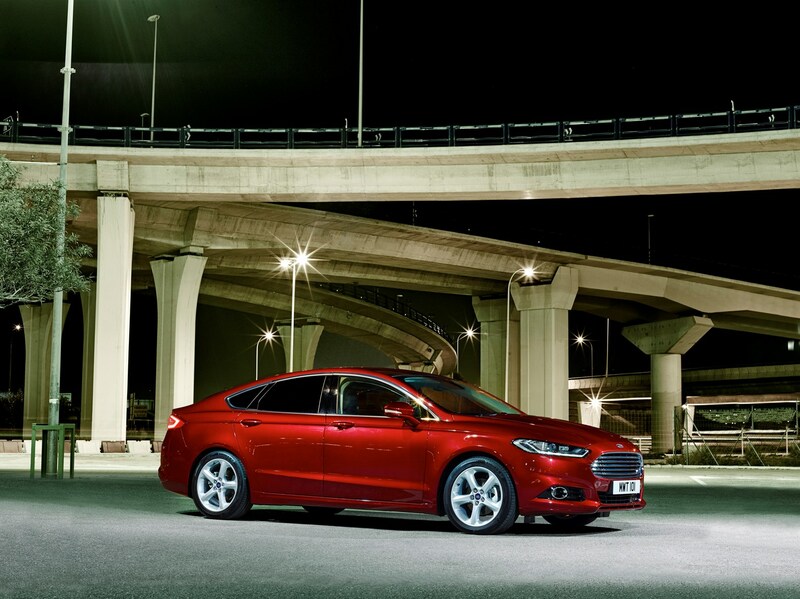 Otherwise there’s little to find intimidating about the Mondeo’s size. 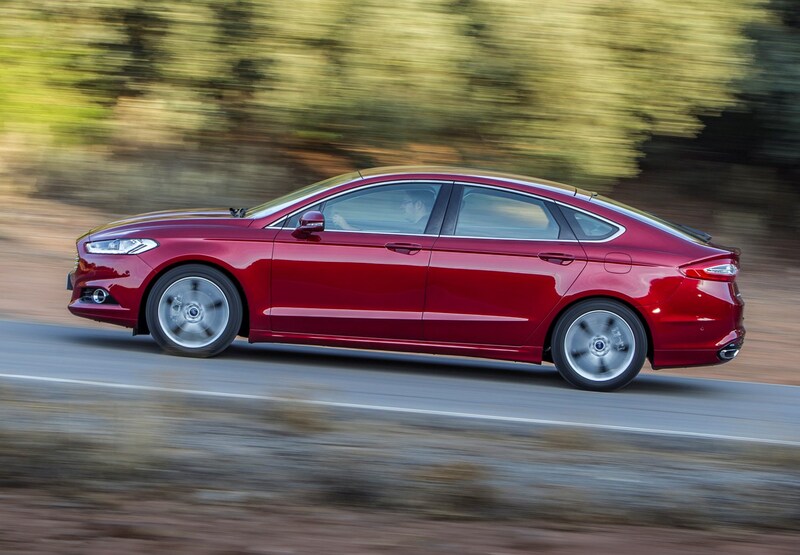 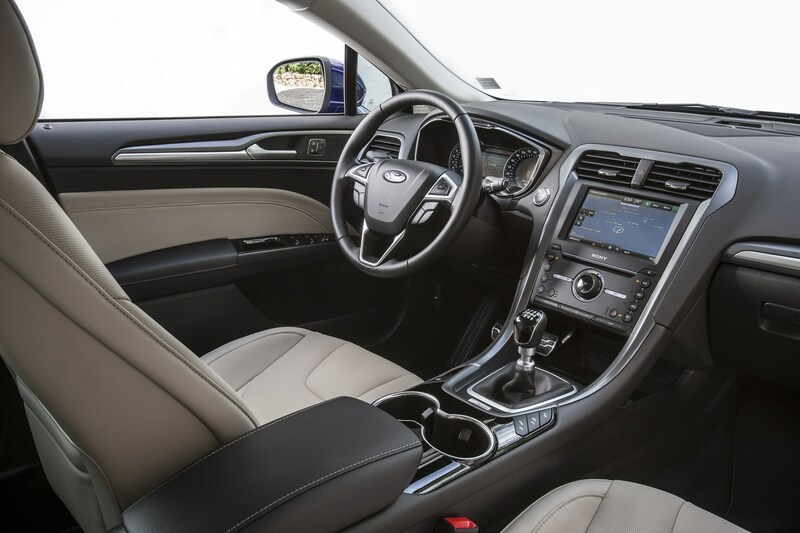 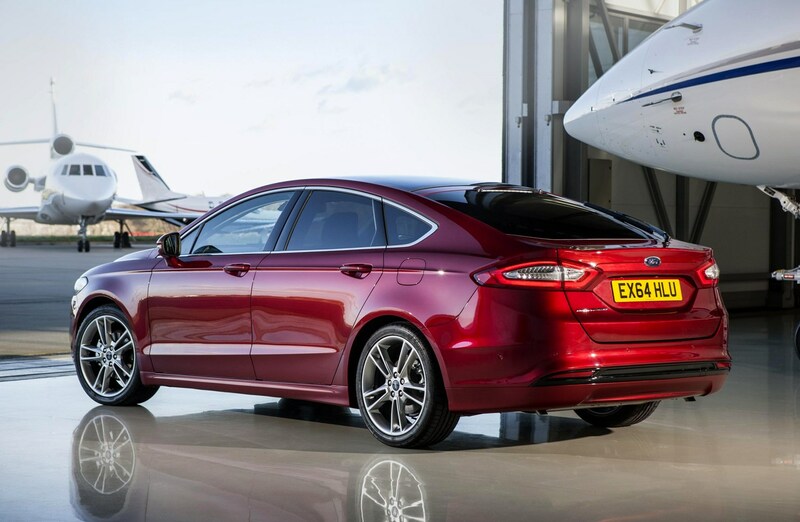 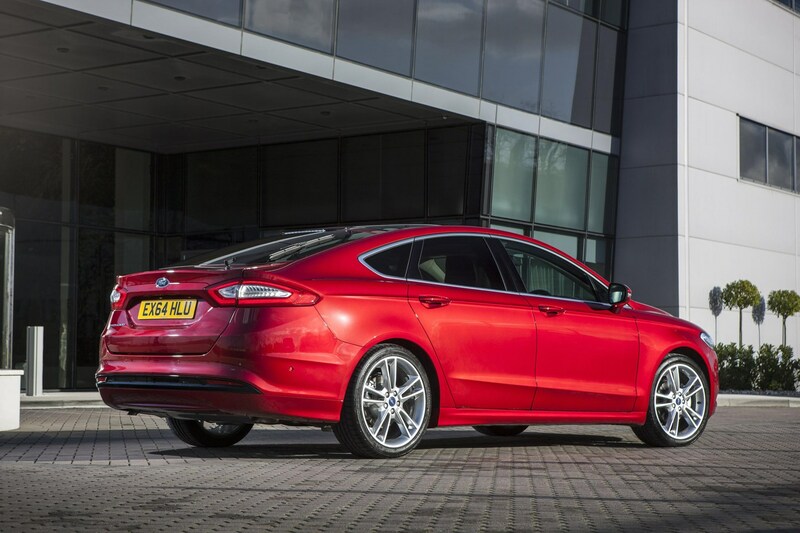 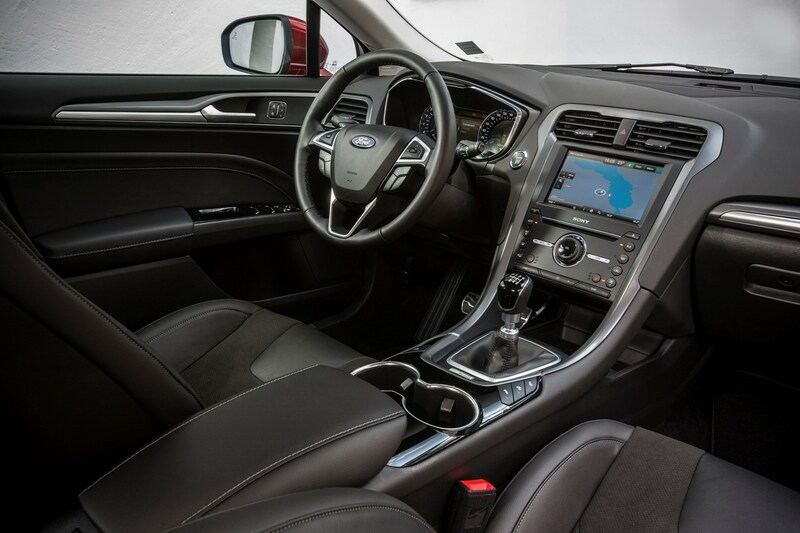 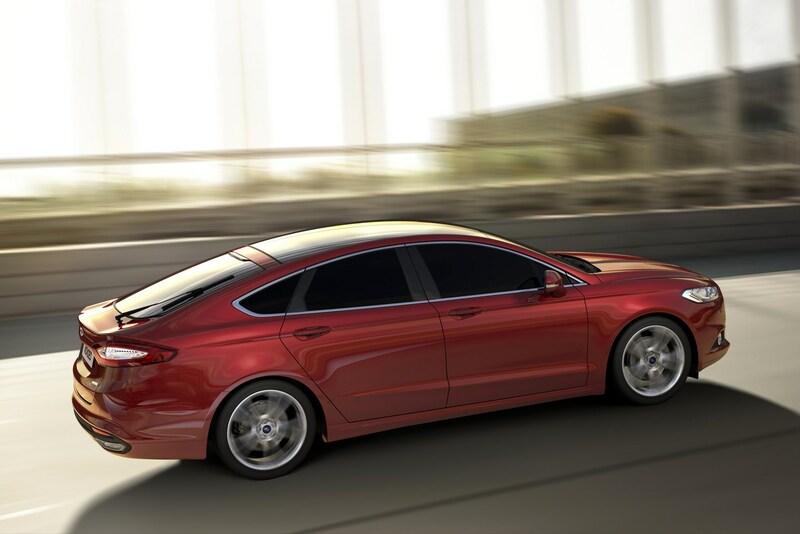 Being a large car with hatchback versatility there’s no doubt that Ford Mondeo practicality is going to be positively received by customers. 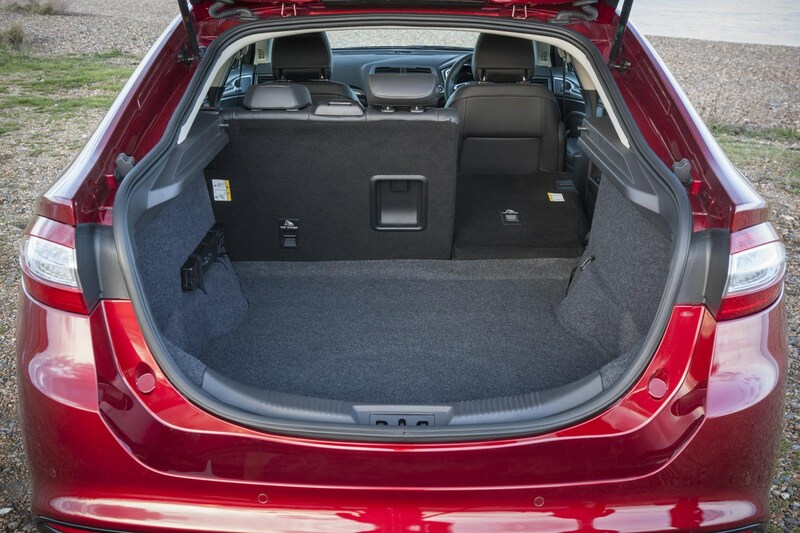 All Mondeo hatchbacks come with a 60:40 split rear seat which doesn’t quite fold flat but is useful enough for the majority of cargo it will likely transport. 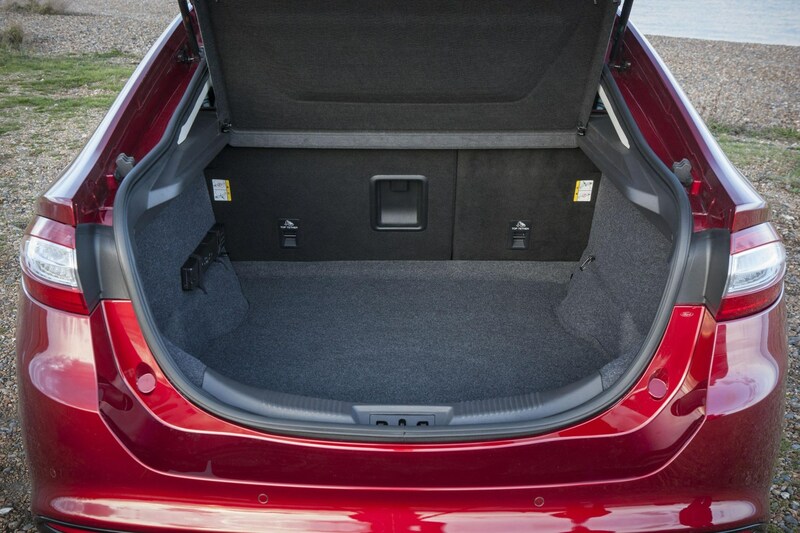 All models also come with a load-through hatch behind the rear centre armrest to allow long, slender loads to be swallowed. 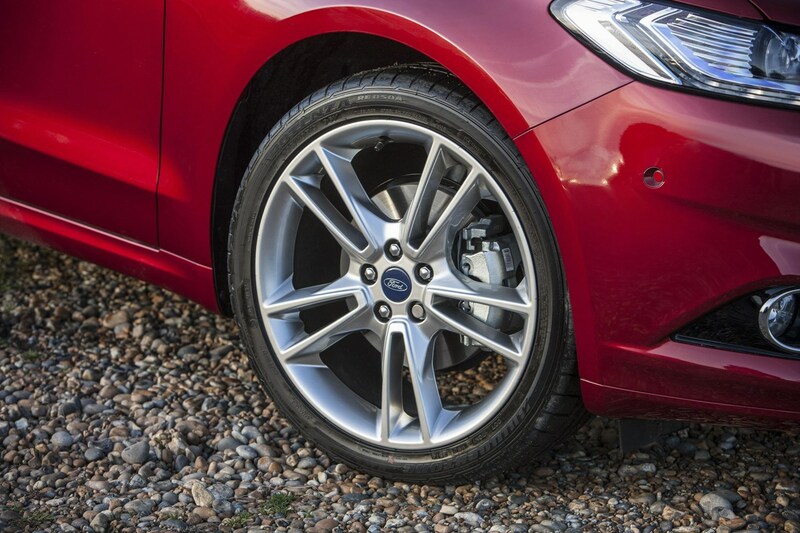 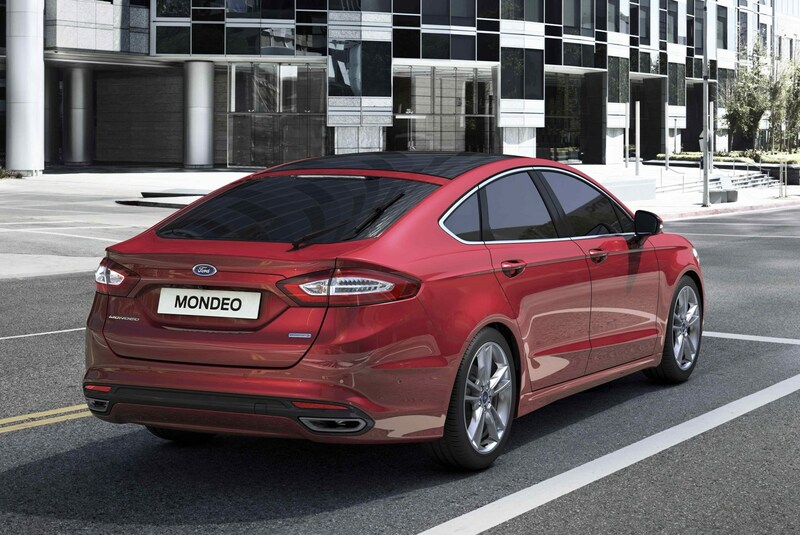 As standard the Mondeo comes with a space-saver spare wheel, meaning a 541-litre boot with all seats in use. 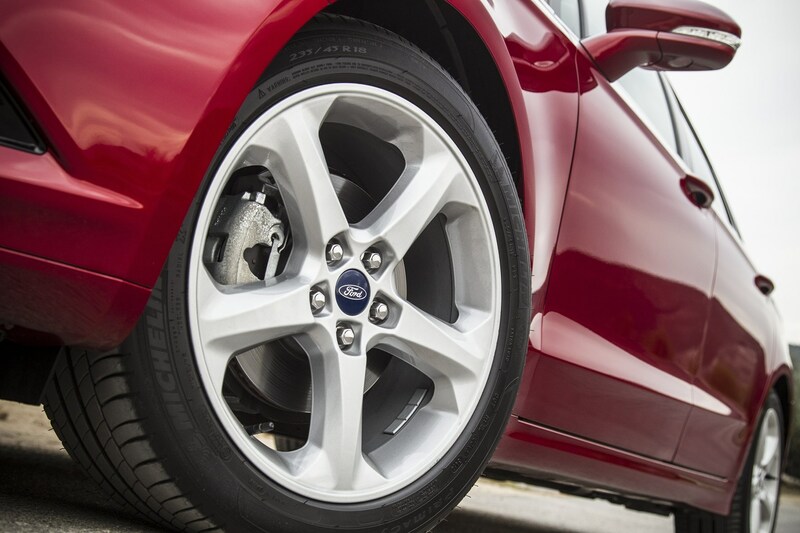 Opt for the full-size spare and this drops to 458 litres. 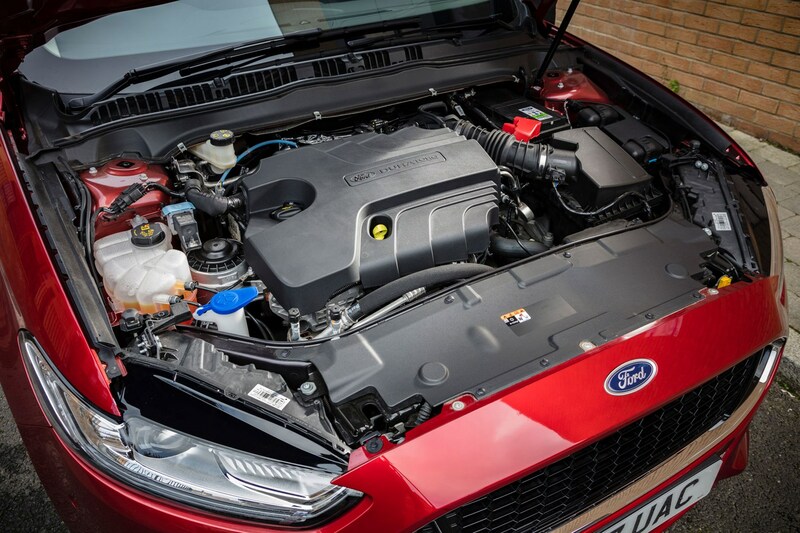 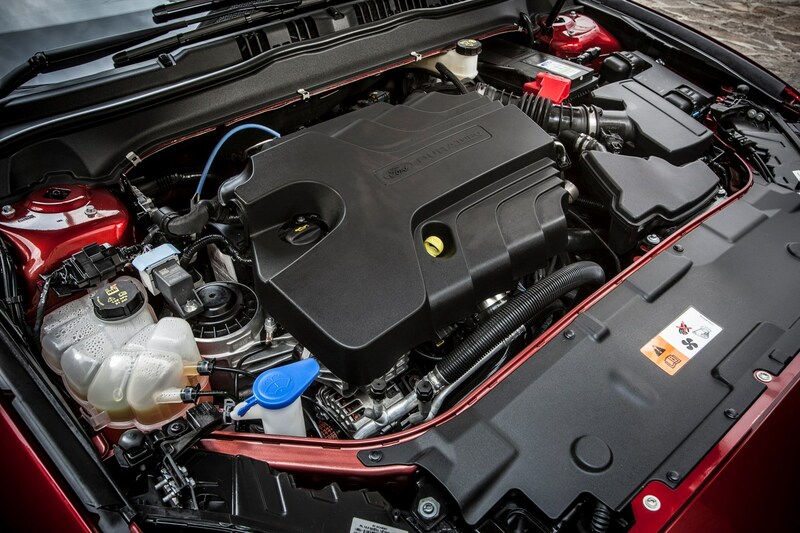 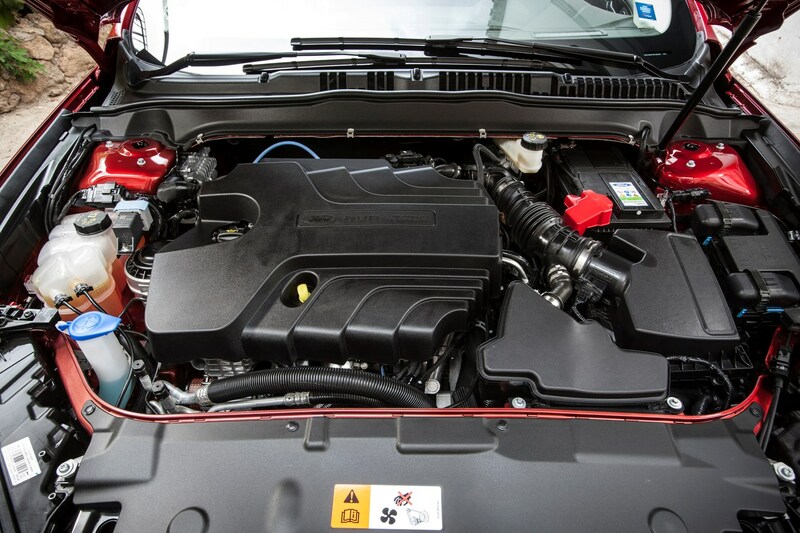 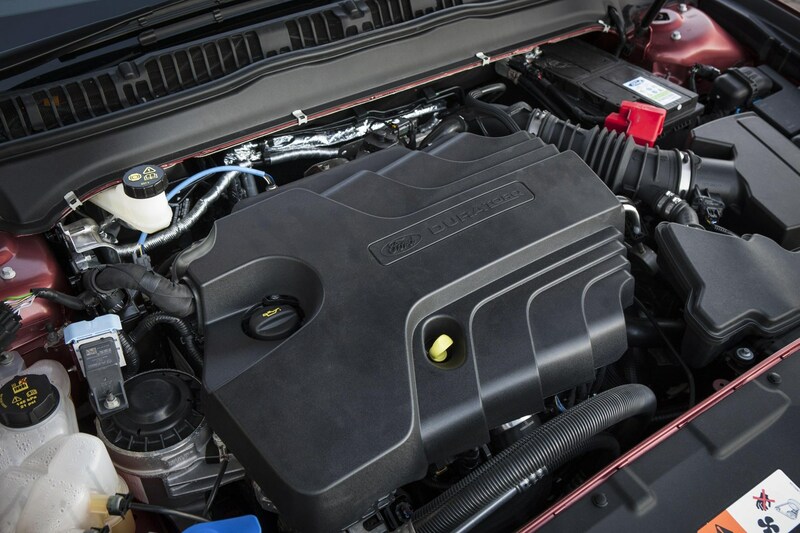 The similarly-sized Vauxhall Insignia Grand Sport hatchback offers 490 litres, but the Volkswagen Passat and Skoda Superb trump the Mondeo, offering 586 and a whopping 620 litres respectively. 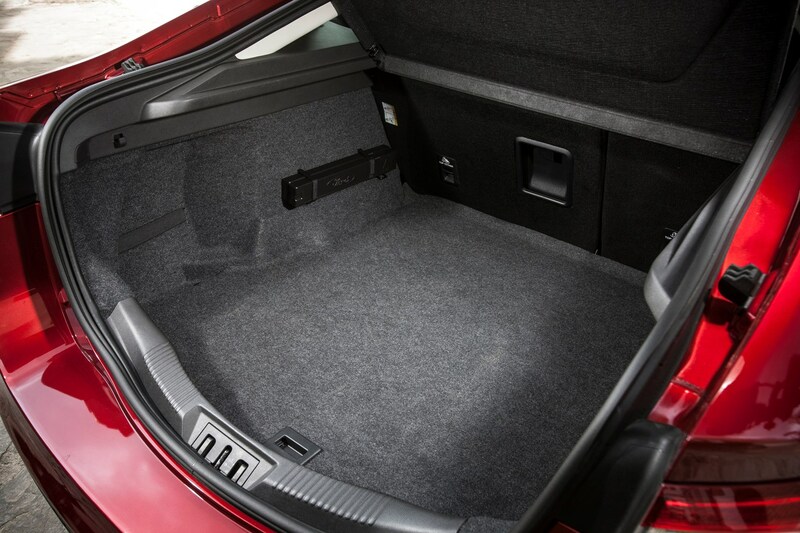 Tip the rear seats forwards and the Mondeo’s capacity increases to 1,437 litres (1,356 litres if you go for the full-size spare). 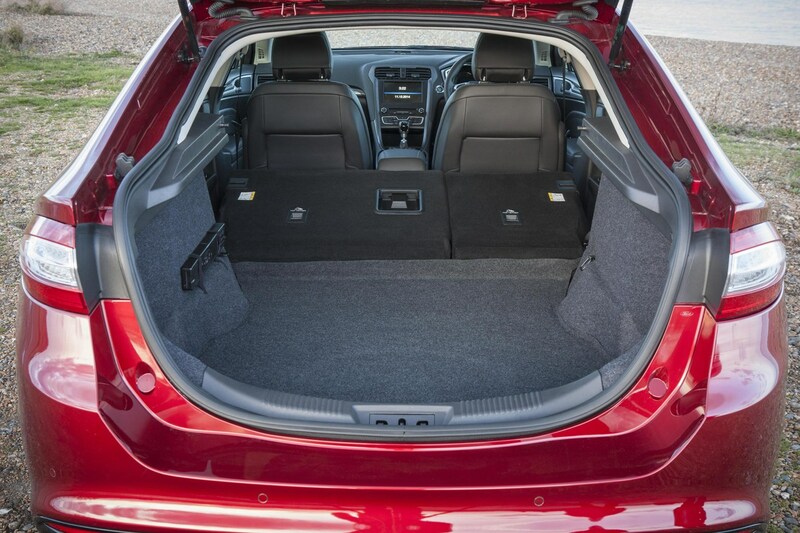 Check the table below to see how the Ford Mondeo Hatchback compares to other similar cars in terms of available boot space.